Cozy in town home located on a large lot. 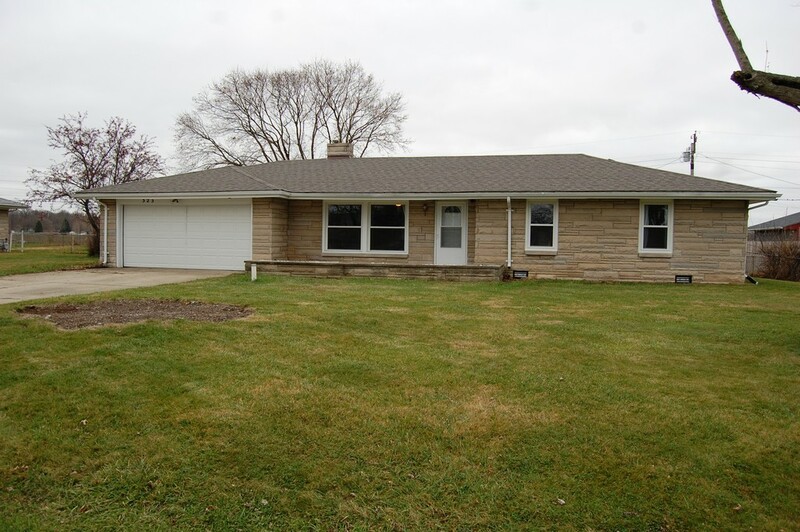 This three bedroom bungalow has a large living room that overlooks the front porch. All windows have been updated along with the roof. The kitchen has tons of cabinets and includes all the appliances. Open to the kitchen is a dining nook with windows that overlook the back yard. The master bedroom has a large closet and shares a full bath with two other bedrooms. You will enjoy the spacious laundry room. You will love three car garage in the back yard. This three bedroom all brick custom home is located in Pendleton schools and has an open concept and split bedroom floor plan. The home sits on over 1/2 acres and has a huge three car garage The great room has a cathedral ceiling and a gas log fireplace. The Master bedroom has two walk in closets and a cathedral ceiling. This home has a large kitchen area with oak cabinets and eat at island. The dining area is open to the kitchen and great room. Two other bdrms share a full bath. 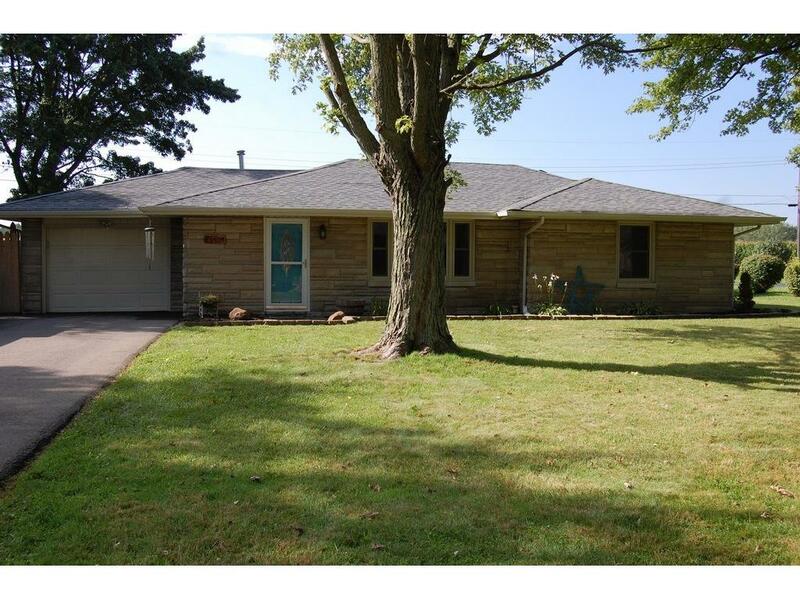 Very nice and affordable home located in a quiet area in North Anderson. This newer built one level home is move in ready and sits on a good sized lot with a fenced back yard and one car garage with alley access. The living room is spacious with large windows that look over the front porch. The eat in kitchen has ample cabinets and includes all the appliances and a pantry. Two spacious bedrooms have big closets and share a full bath. 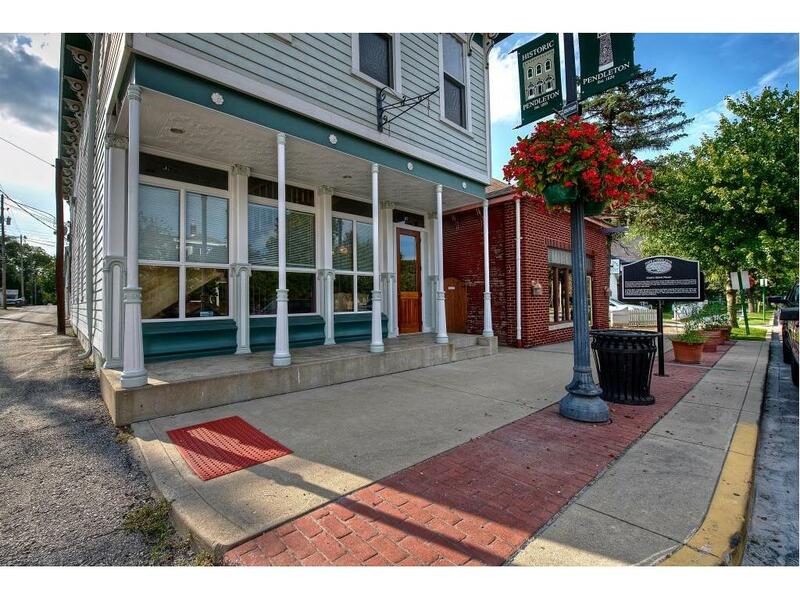 Easy access to shopping, shady side park and restaurants. 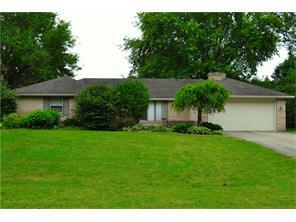 Very nice and updated home located in Meadowbrook. 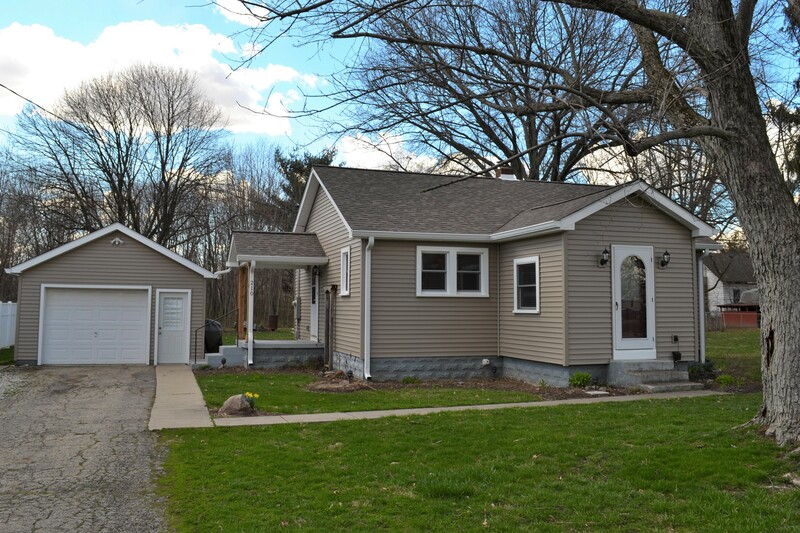 Don't miss out on this charming, move in ready home featuring a large living room with hardwood floors and french doors, updates throughout and a 30x20 pole barn. A large dining room has hardwood floors and is located just off the kitchen. The eat in kitchen has ample cabinets, updated counter tops and new appliances. The large master bedroom has a large closet, fresh paint and crown molding. You will love the storage in the full basement. Gorgeous historic office building located in downtown Pendleton. This well maintained building features a lower level office that includes 2 large private offices, two large shared offices, conference room, reception area and lobby. Upstairs includes an lobby, two private offices and a 1/2 bath. For extra income, two efficiency apartments are located on the second floor with a separate entrance. This is a beautiful property and a great place to locate your business. 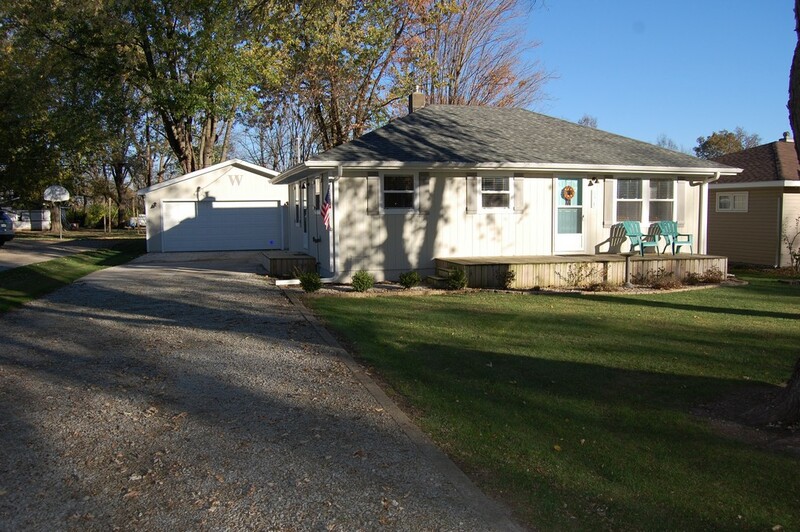 Very cute and affordable home located in Pendleton schools. 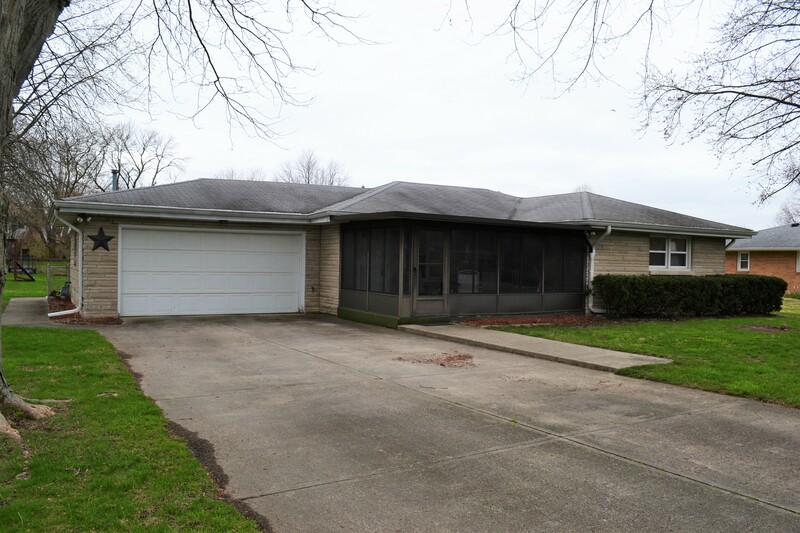 This all brick ranch home sits on a large fenced lot and features gorgeous hardwood floors, sizable two car garage and a large storage shed. The spacious living room has a large picture window that lets in a lot of sunlight and is located next to the kitchen. The eat in kitchen has lots of cabinets, a desk area and includes all the appliances. All three bedrooms have plenty of closets and share a full bath. Many upgrades included. 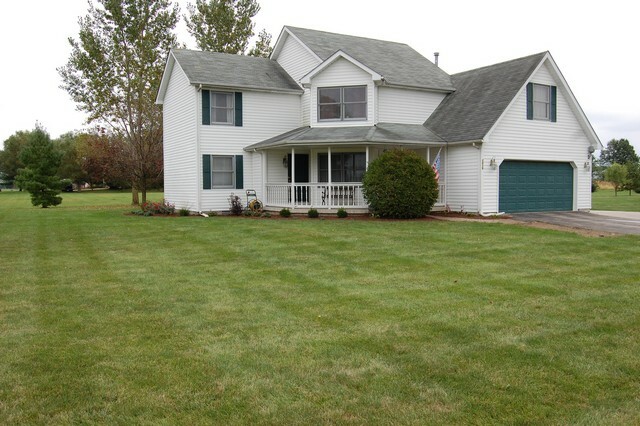 This spacious Pendleton schools home is located on a 2 acre lot with a pond and woods. This custom built home has a nice walk out basement and includes a main level master suite, open floor plan and three full baths. The living room is open to the kitchen and dining area and has beautiful hardwood floors. The kitchen has tons of cabinets with a center island with eat at bar and includes all the appliances. The large family room has a wood burning fireplace and walks out to a patio and back yard. 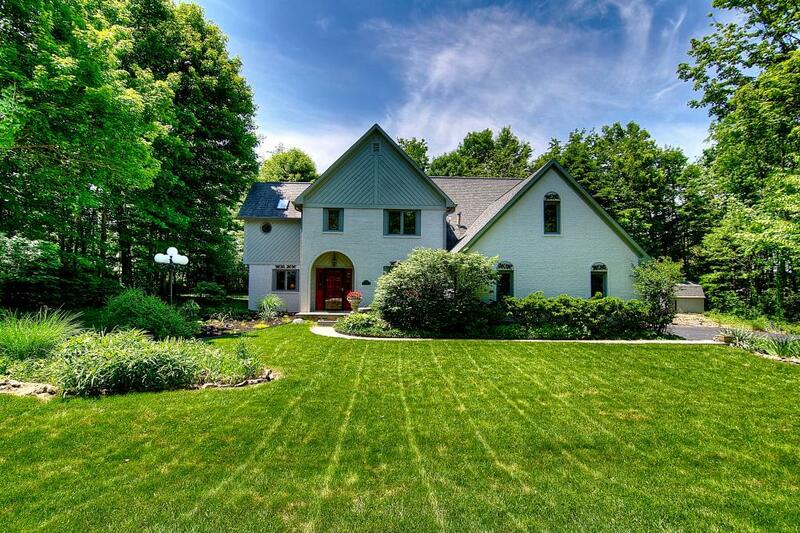 Gorgeous custom built home located on 2 private acres. 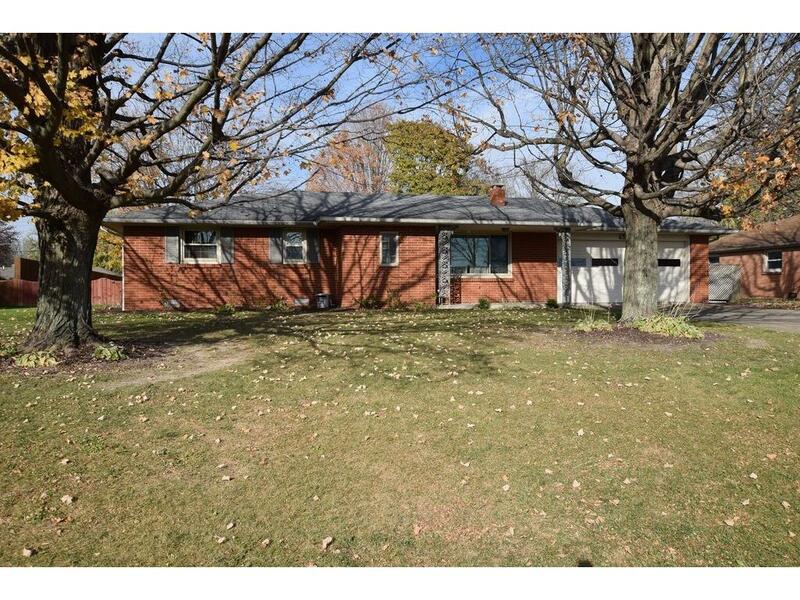 This one level ranch has great curb appeal and features a great room, sun room and extra garage. This open floor plan has a centrally located great room with vaulted ceilings. Overlooking the great room, a large kitchen has lots of cabinets, a pantry and includes all the appliances. Along with the eat in kitchen is a formal dining room. You will love the sunroom overlooking the back yard. The master suite has a full bath and walk in closet. 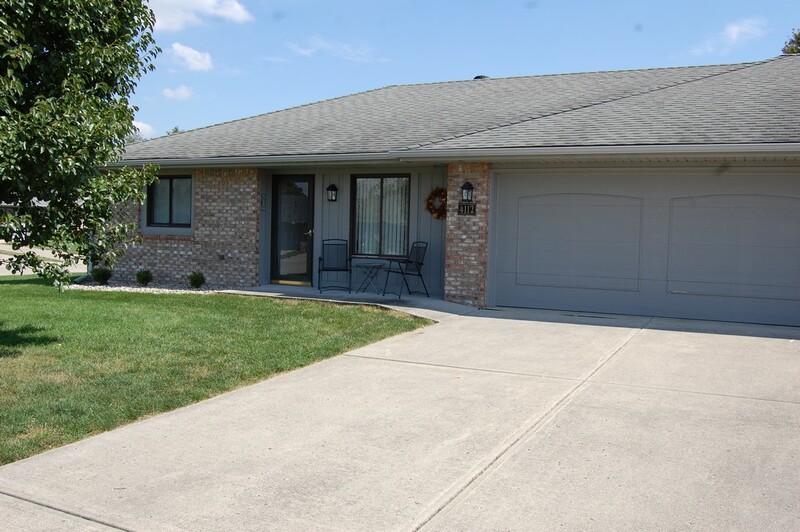 Beautiful ranch home located on a popular in town Pendleton subdivision. This gorgeous and affordable one level sits on a nice pond lot and features a master suite, a sun room and open concept. The split floor plan has a great flow with the large great room open to the kitchen and dining area. The kitchen has updated cabinets and includes all the appliances. The kitchen / dining area flows nicely in to the sun room that overlooks the pond. The sizable master suite has a walk in closet and bath. 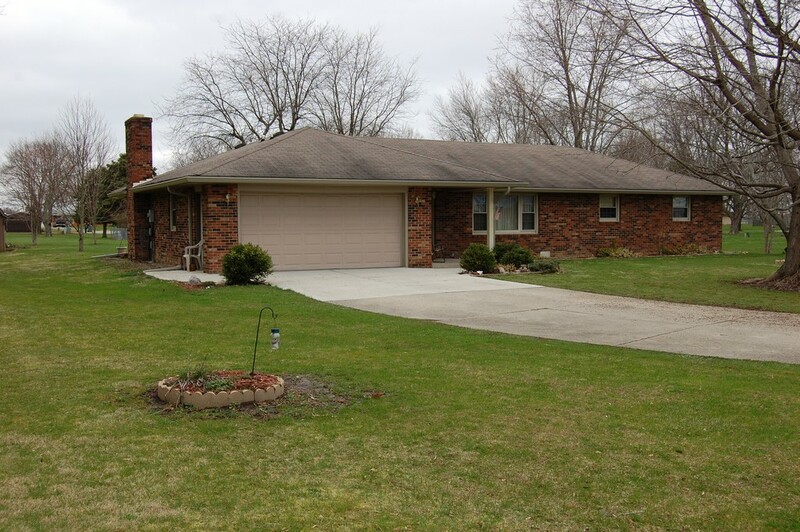 Gorgeous one level brick ranch located in Pendleton schools. This four bedroom home sits on a nice lot and features a great room with vaulted ceilings, a large formal dining room and a master suite. The kitchen includes updated counter tops and is open to the dining room. A sun room is located just off the great room and overlooks the back yard. The master suite has a walk in closet and full bath with shower. Fresh paint throughout, and new carpet in 3 of the 4 bedrooms. One & half car garage. 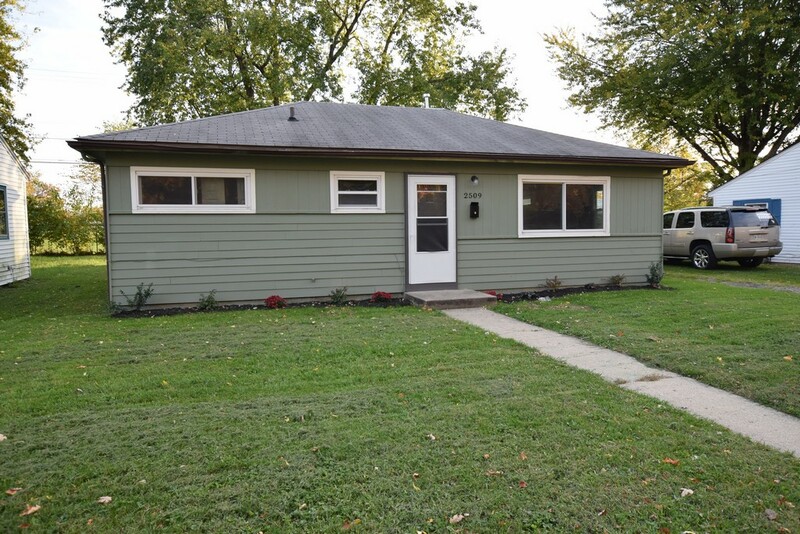 Very cute and affordable home located in Pendleton Schools. 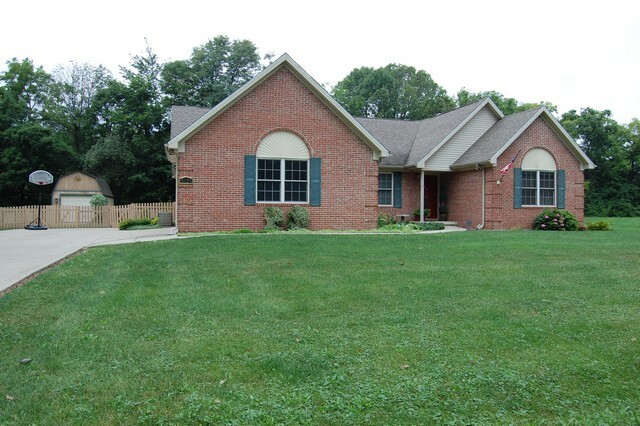 This brick two story sits on a 1/2 acre lot and features a huge deck, updated kitchen and a basement. The updated interior has a living room with gorgeous hardwood floors, a fireplace and is open to the dining room. The kitchen has been totally updated with newer cabinets, flooring and all the appliances are included. Upstairs the large master bedroom has a walk in closet and shares a full bath with the second bedroom. 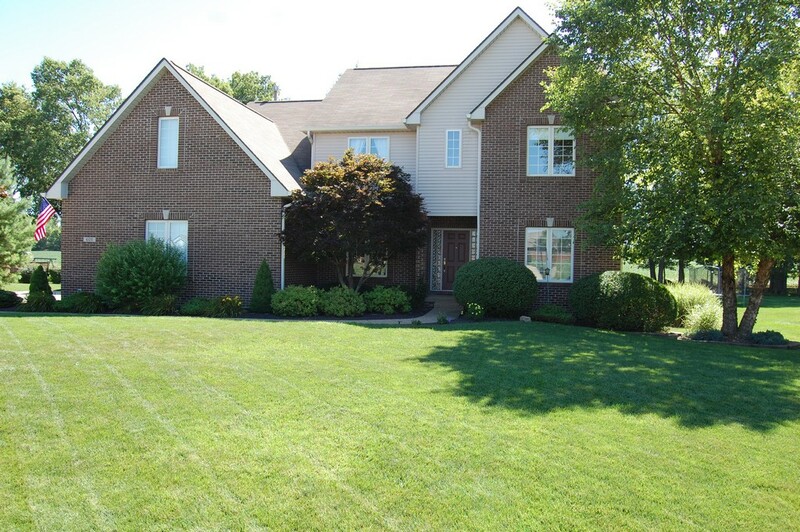 Beautiful custom built home with a finished basement located popular in Hickory Hills East. 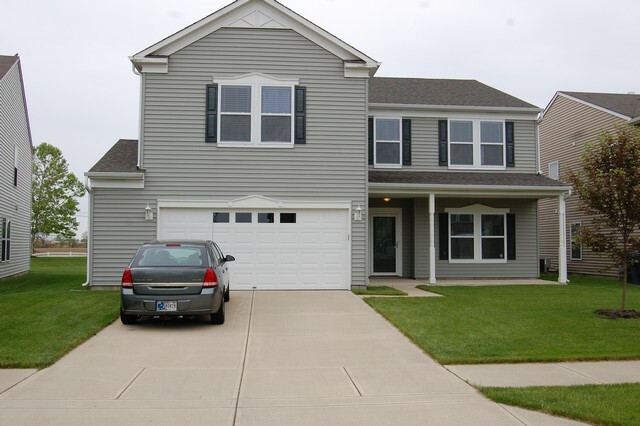 This spacious and well designed home features a spacious great room with tall ceilings and large windows that overlook the back yard, granite counter tops in the kitchen and a four car garage. The custom kitchen is open to the dining nook and great room and includes stainless steel appliances, a walk in pantry and bar seating. The master suite has a full bath and huge walk in closet. 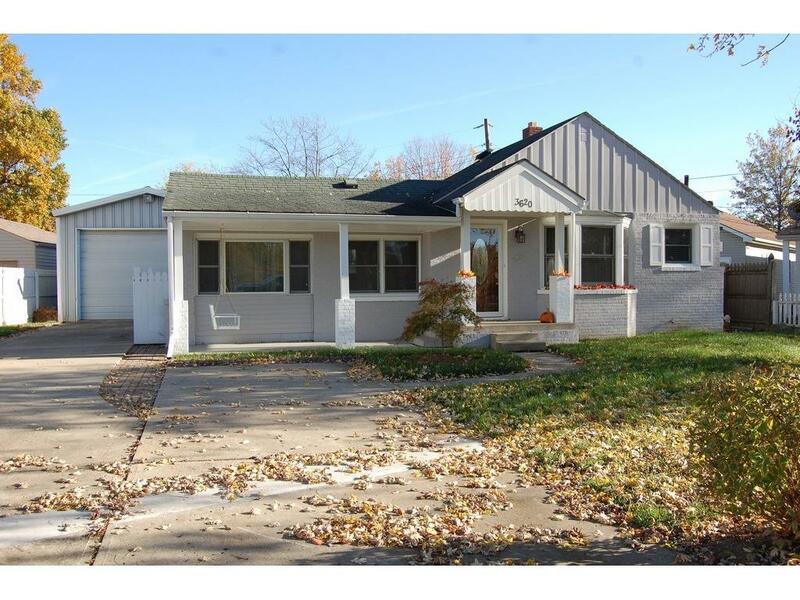 Nice rental home that has been qualified for a Hud renter. Home has been updated and includes the stove and refrigerator. Owners have been receiving 550 per month and owner pays for the electric. All other utilities are paid by renter. This two bedroom has a full bath, eat in kitchen, laundry room and a nice sized living room. 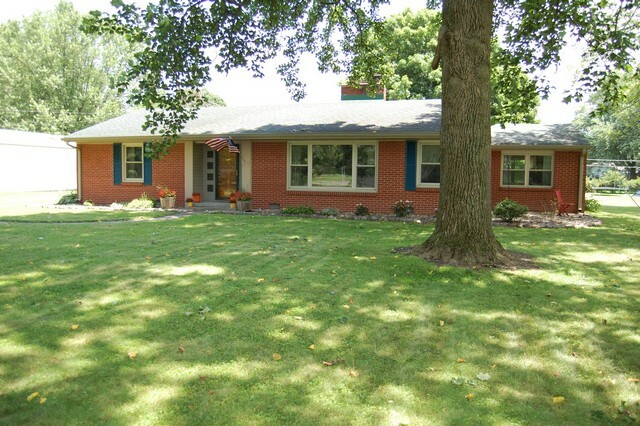 Wonderful custom built brick ranch located on a large lot just outside of Pendleton. This one level home has a open concept and features a master suite, oversized two car garage and a well maintained lot. The living room is open to the dining room and the eat in kitchen overlooks everything. The kitchen has custom hickory cabinets with lots of storage. The large family room overlooks the back yard and has patio doors that lead to a private patio. The master suite has a full bath. 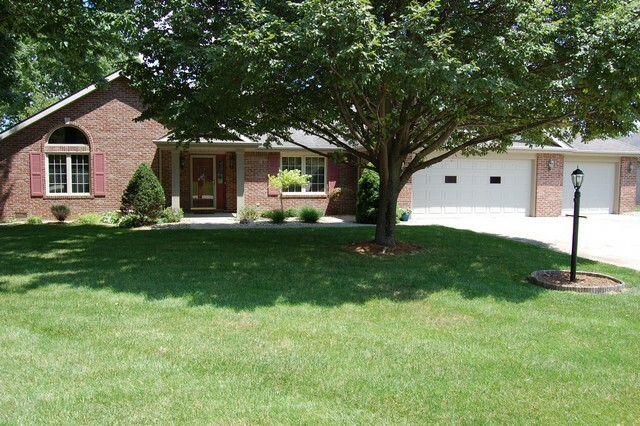 Well maintained home located in peaceful Lantern Meadows. This 3 bedroom, 2 bathroom home is perfect for you! Open concept, large living room flows into the dining room and kitchen. Laundry room just off the kitchen. The master bedroom has two walk in closets and bathroom features a double vanity. Two additional bedrooms share a full bathroom. The living room has sliding doors that lead you to the deck and the large backyard. 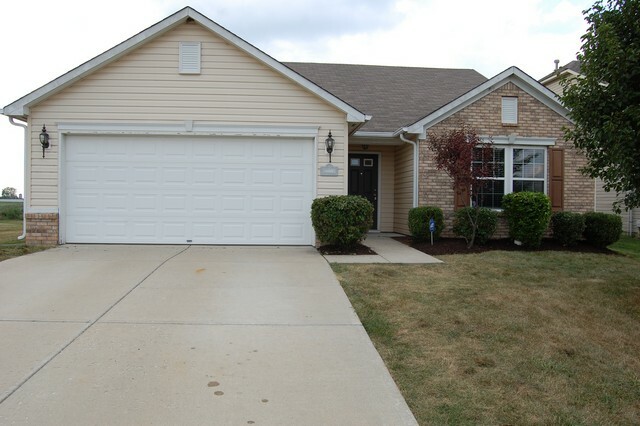 Nice move in ready home located in Popular Summerlake. This Pendleton schools subdivision has great community features including a clubhouse, swimming pool, playground and basketball courts. 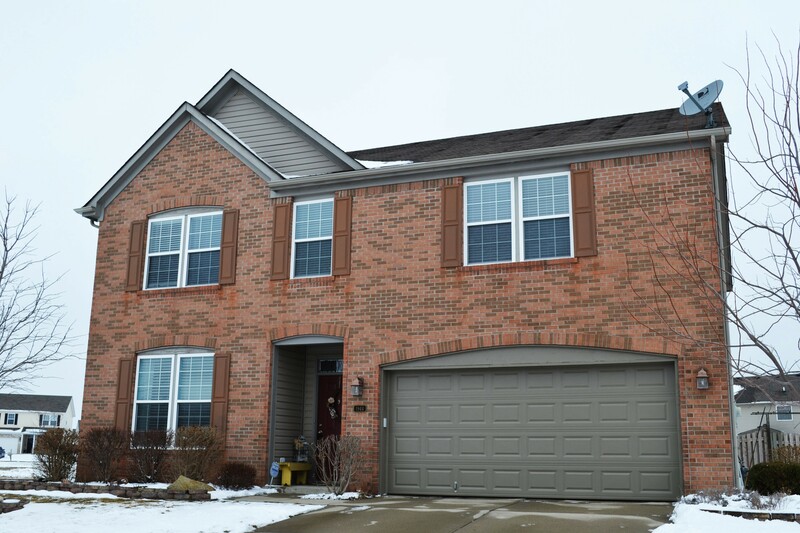 With easy access to Indy, this two story home features all new carpet throughout, a master suite with large walk in closet and a huge loft area. The living room is open to the kitchen and dining nook. The kitchen has gorgeous maple cabinets and includes all the appliances. The laundry is located upstairs. 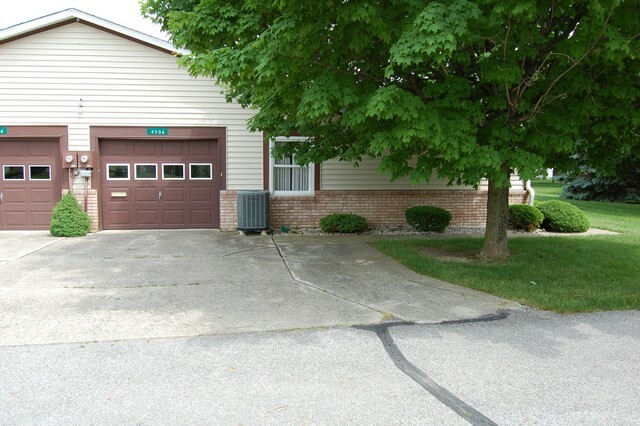 Very nice move in ready condo located in Anderson. With easy access to shopping and restaurants, this two bedroom home has a large living room that is open to the dining room. The kitchen has upgraded flooring and includes all the appliances. The master bedroom is spacious, has ample closet space and shares a full bath with the second bedroom. A second bathroom has a full shower and has a laundry area that includes washer and dryer. You will love the sunroom and patio. Two car garage. 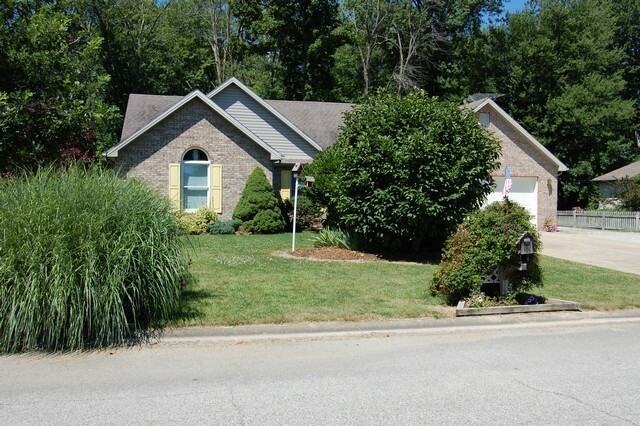 Very nice well maintained home located close to Pendleton. 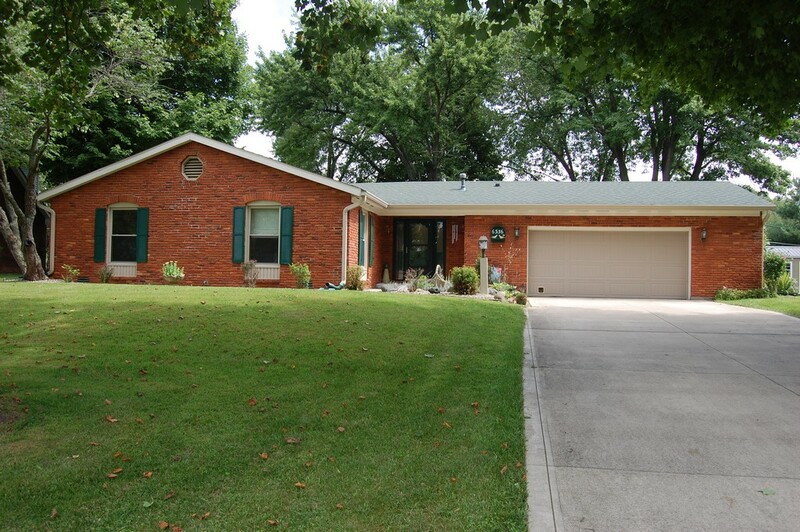 This one level brick ranch sits on a large lot and has easy access to I-69. You will love the updated eat in kitchen that includes all of the appliances and a pantry. The great room includes a gas log fireplace and is very spacious. Two bedrooms have ample closet space and share a full bath. A third bedroom is located on the opposite end of the home and a full bath with shower is located close by. You will love the huge sun room. 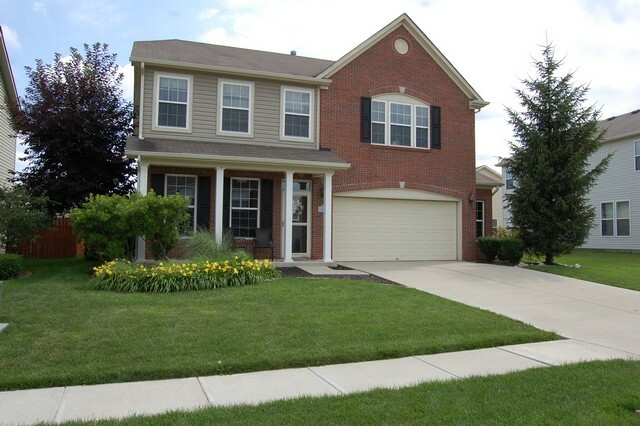 Beautiful home located in popular Fiddler's Green. Well maintained landscaping encompasses the home. Enormous great room brings in natural light and features a beautiful recessed ceiling. Nice eat in kitchen with a breakfast bar and tile back splash and new counter tops. A convenient laundry room connects the kitchen to the over sized garage with plenty of storage. The spacious master bedroom includes a master bathroom suite and walk in closet. Cozy sun room leads you outside to the patio! 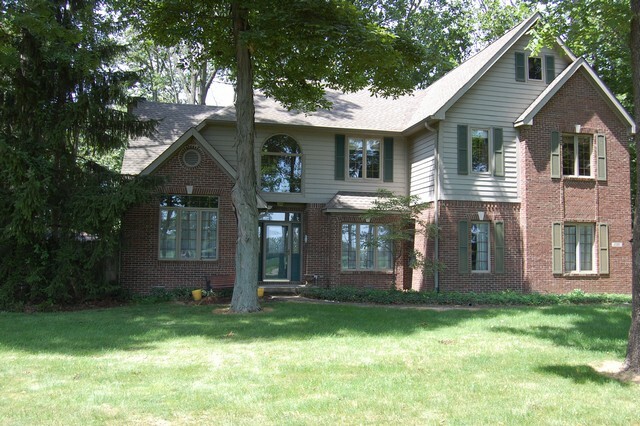 This sizable home is located on a large lot just outside of Pendleton. With close access to the park and pool, this 1 1/2 story home features large rooms, a main level master bedroom and large laundry room. The living room is open to the dining room and the kitchen includes the appliances. The eat in kitchen has ample cabinets and is located right off the formal dining room. A large laundry room has access to the back yard and deck. All bedrooms share a full bath. Very affordable home in Ptown. 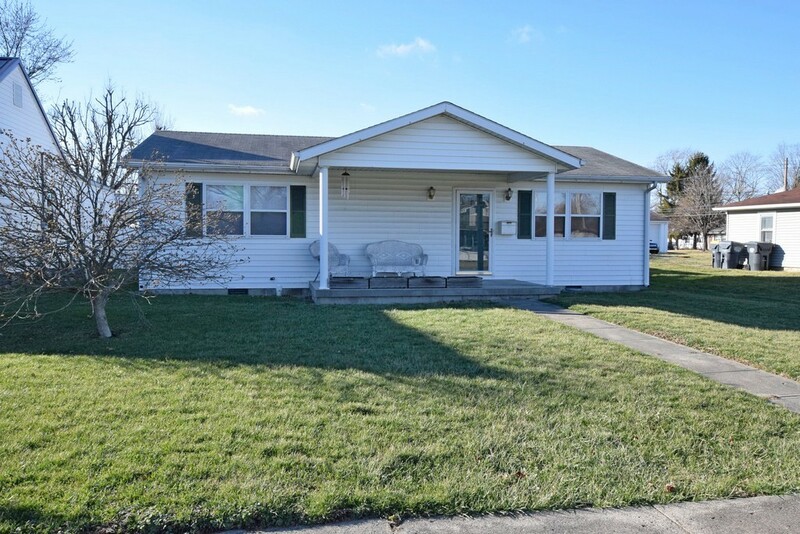 Very nice and well maintained home located in a newer subdivision in Muncie. This one owner home features a an open floor plan, beautiful landscape and oversized two car garage. The great room has vaulted ceilings with sky lights and a gas log fireplace. The spacious eat in kitchen includes all the appliances and a pantry. A cozy family room overlooks the back yard and has sliding doors that lead to the deck. The large master suite has a walk in closet and full bath. Two bedrooms share a bath. 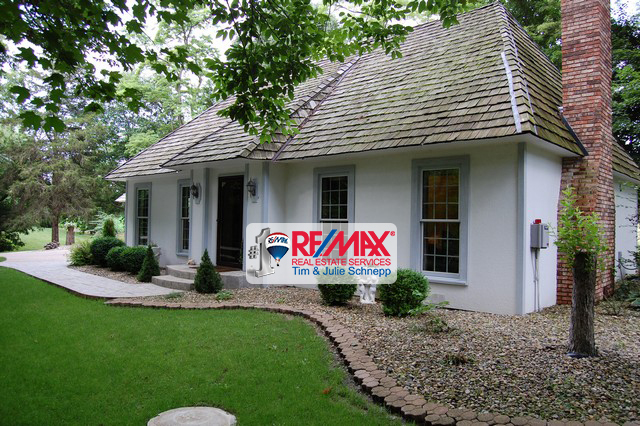 Beautiful home located on a cul-de-sac in popular Huntzinger Farm. A gorgeous entryway welcomes you in, a formal living room is located just off the entry. Spacious family room features a beautiful fireplace, and a rec room that can easily be converted into a formal dining room. Kitchen has tons of storage!! The huge master suite is immaculate and brings in lots of natural light. The modern master bathroom is gorgeous and features an enormous walk in closet! Gorgeous Craftsman style home located on almost 3 acres in South Anderson. With easy access to all things Anderson, This 1920's gem features original woodwork, a full basement and a huge garage / barn. Inside this affordable property is a large living room with a fireplace, a giant formal dining room and a main level office. The eat in kitchen is spacious and includes all the appliances. Upstairs, all bedrooms have walk in closets and share a full bath. The full basement has lots of potential. 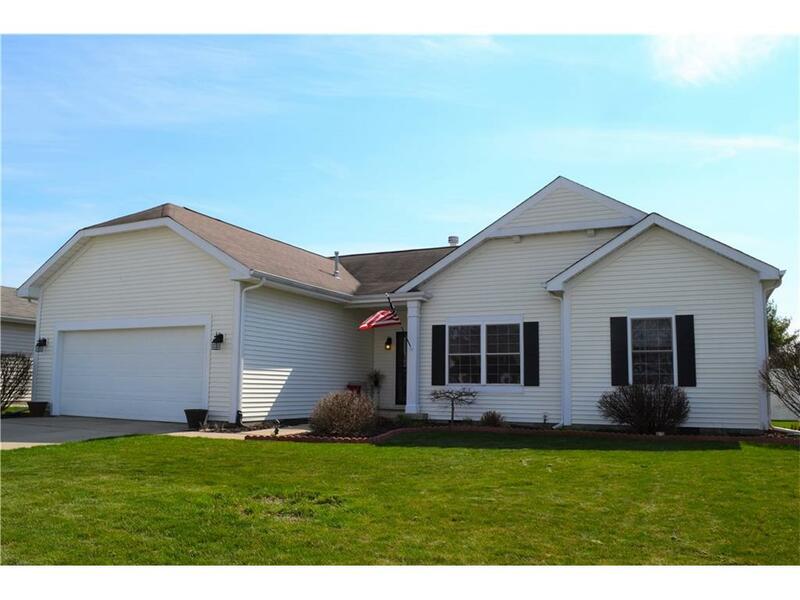 Very cute move in ready home located in town Pendleton. This two story historic style home is located perfectly for a quick walk to the downtown shops, restaurants, pool and park. The main level has a cozy living room and is open to the dining room. The kitchen has nice updates and new stainless steel appliances. The spacious master bedroom and a second bedroom share an updated full bath. Upstairs, two large bedrooms have lots of storage and share a full bath. You will love the back patio. Beautiful 1 owner home with fenced in back yard, large bedrooms and walk in closets! 3 bedrooms and 2 baths, new laminate flooring on main level. Spacious and private master suite. Fully fenced in backyard with a custom slab patio. 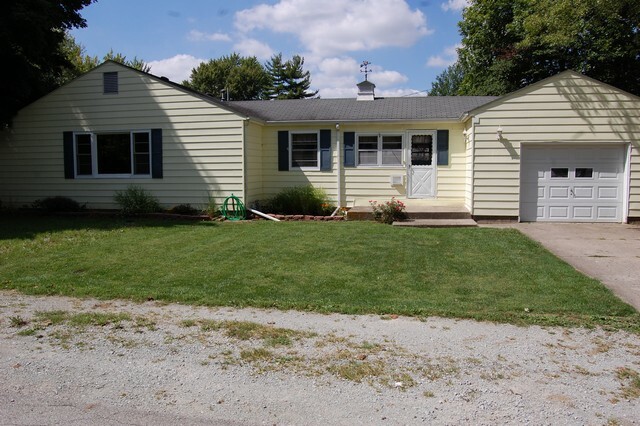 Very affordable ranch home located on a large lot in Pendleton Schools. This cozy home has a living room with a wood burning fireplace, a private family room and a large 2 car garage. The eat in kitchen is nicely located between the living room and the family room and includes all the kitchen appliances. Three bedrooms have ample closet space and share a full bath. A second full bath is located just off the family room. Outside you will love the brick patio that overlooks the back yard. 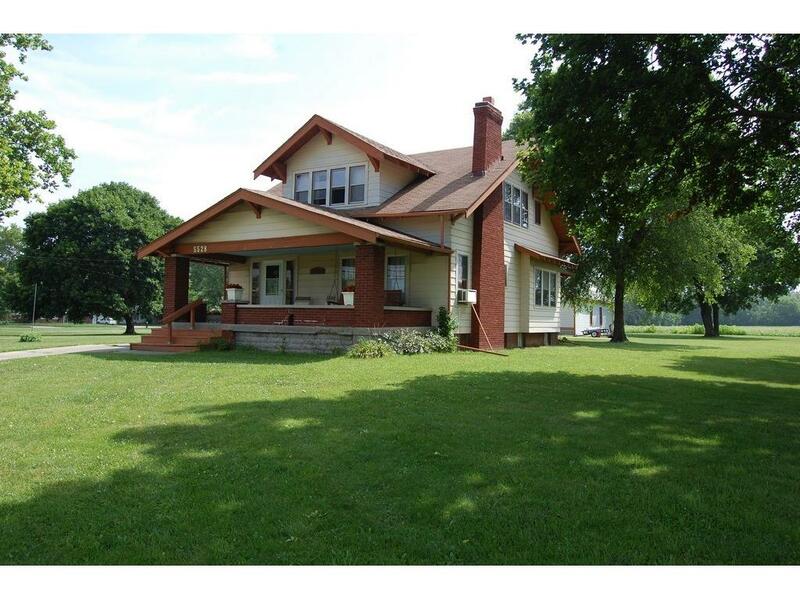 Large five bedroom home on 5 acres with an updated eat-in kitchen, main level master suite and pole barn. The spacious living room includes a rotunda with vaulted ceilings & lots of natural light. The master suite includes large walk in closet, full bath with claw foot tub & vanity. Upstairs are three bedrooms and an additional master suite. The kitchen includes newer appliances and features a large pantry & dining area. Center courtyard with fire pit, over sized attached garage and much more. In town and country living unite to bring you this charming home. As you enter the front door, there is the perfect space for a mud room. The living room has gorgeous, well preserved original hardwood floors. A hallway connects the three spacious bedrooms and the full bathroom. The adorable kitchen will enchant you with all of its little details, plenty of counter space, cabinet space, and a breakfast bar. The best part is the marvelous barn. 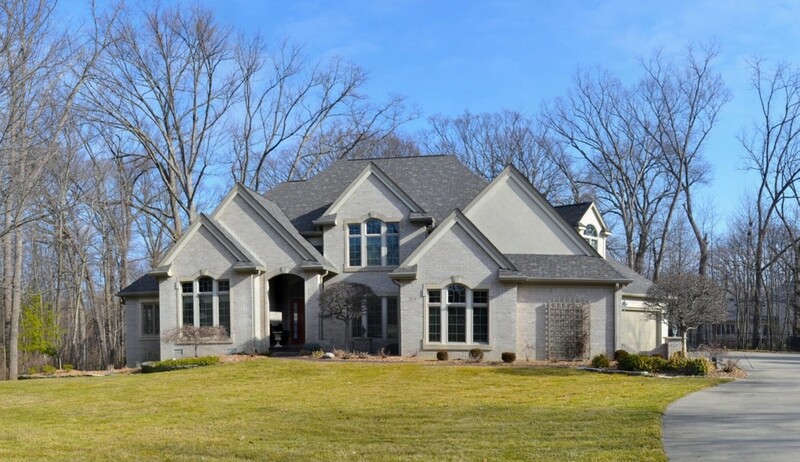 Elegant custom built home on nearly one acre in Hawthorn Hills. Solid Cherry woodwork, hardwood floors, and premium wall finishes add to the distinctive craftsmanship. Gourmet kitchen features custom cabinetry, Center Island with Jenn-Air cook top & granite counters. Spacious owners retreat boasts three rooms, including a large en suite with Jacuzzi tub and lots of natural light. Sparkling pool, private back yard, award winning HSE Schools & an easy walk to Ironwood Golf course. 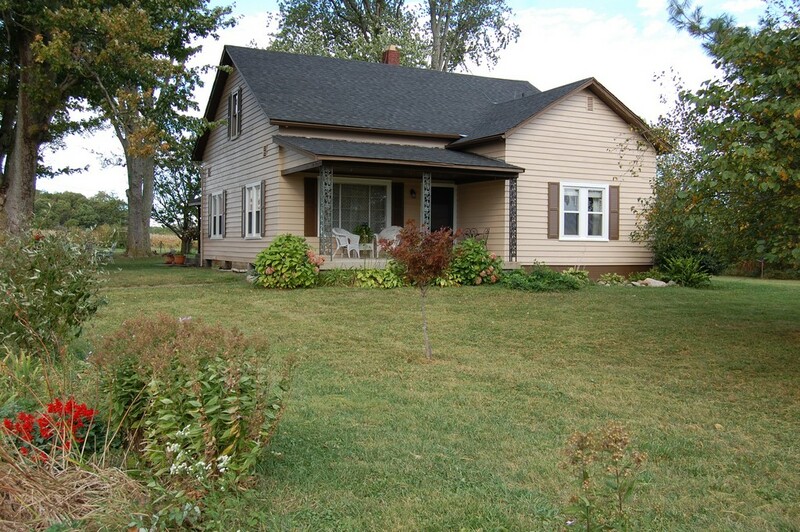 Gorgeous farmhouse located on 6.6 acres in Lapel schools. 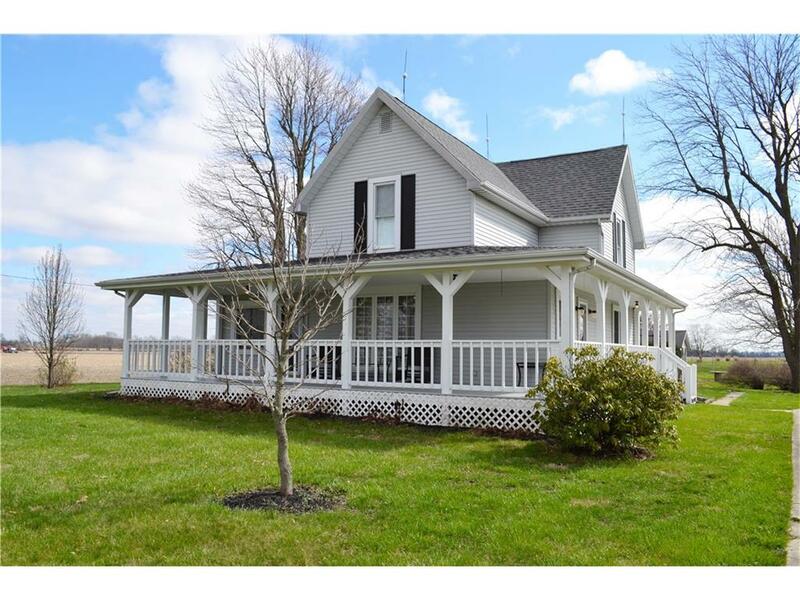 This stunning farmhouse includes original woodwork, hardwood floors, and barns. The wrap around porch is breathtaking. The formal living room flows into the heart of the home, the dining room. The kitchen has a breakfast bar that overlooks family room. Two bedrooms are on the main level. On the upper level you will find the huge master bedroom with an enormous walk in closet. Two bedrooms share a full bathroom on the upper level. 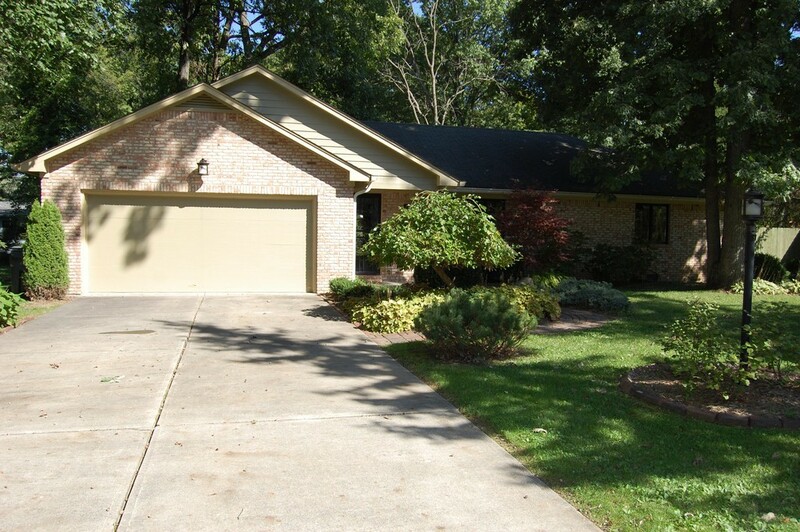 Gorgeous brick ranch style home in the cozy Fall Creek Heights. 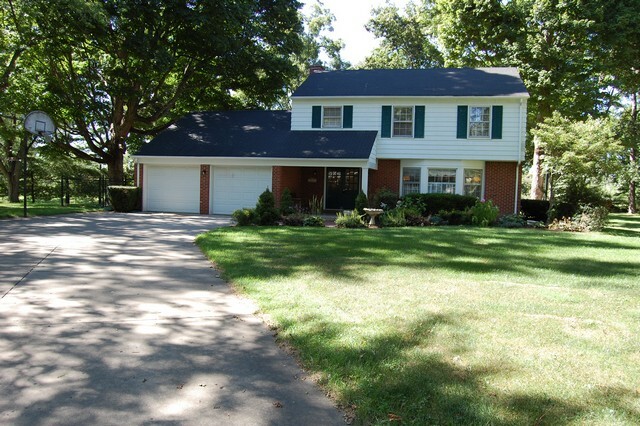 This bright and beautiful home has original hardwood floors, new carpet, and fresh paint! The living room features a gorgeous picture window. Updated kitchen looks out to the fully fenced back yard. Lush backyard has a concrete patio, and a shed for storage. You won't want to miss out on this beautiful home! 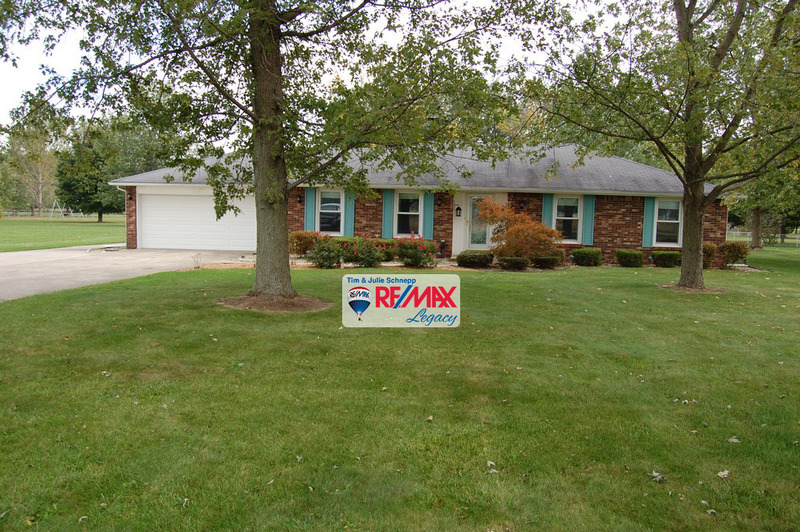 This very nice updated home is located in a popular Decatur township subdivision. With easy access to the high school, airport and restaurants, this one level affordable home has all new flooring and fresh paint through out. The great room is open to the kitchen and has vaulted ceilings. The large eat in kitchen includes all the appliances, walk in pantry and has new flooring. The nice sized master suite has a full bath and walk in closet. Two other bedrooms have ample closet space. Gorgeous executive home located in desirable Woods at Thorpe Creek. Custom designed with full finished basement, hardwood floors & a 13-foot tall solarium adorned with coffered ceilings. A gourmet kitchen features granite counter tops, stainless steel appliances and a center island. The open concept main level has exquisite hand scraped hardwood flooring, 9-foot ceilings and a formal dining room. The large owners retreat has coffered ceilings and a full bath. You will love the three-car garage. 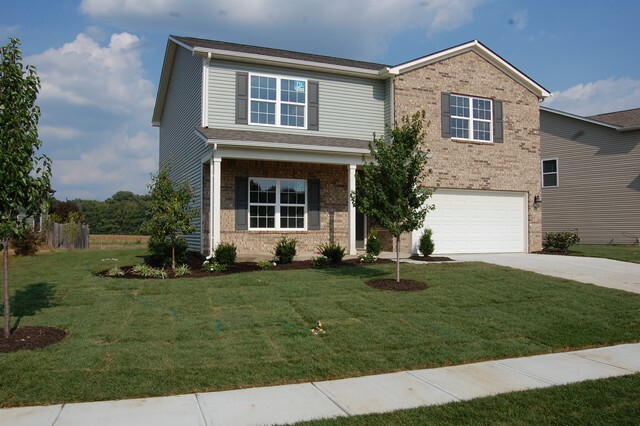 This very affordable home located in Greenbriar and is move in ready. 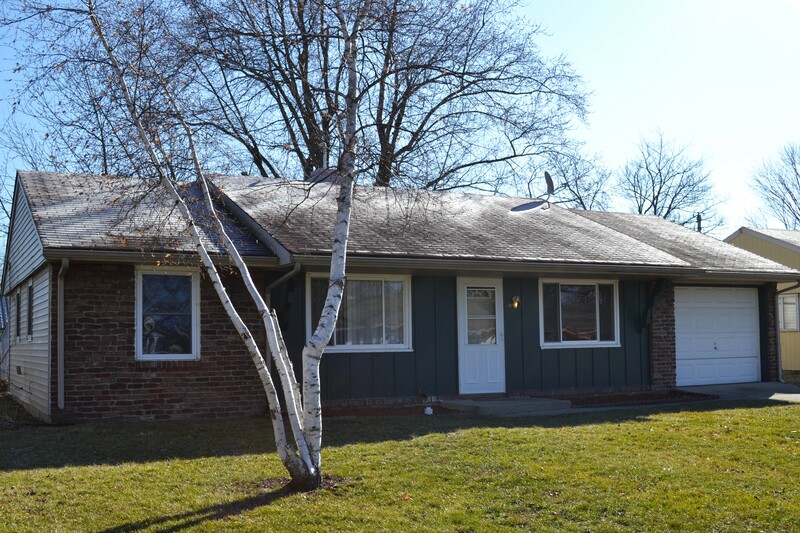 This one level ranch home has three bedrooms with new carpet and ample closet space. The bedrooms share a full bath that has some updates. The living room is spacious and has gorgeous laminate floors and a big picture window. All windows have been updated along with the furnace and central air. The large eat in kitchen has updated laminate counter tops and a pantry. You will love the size of the back yard and shed. 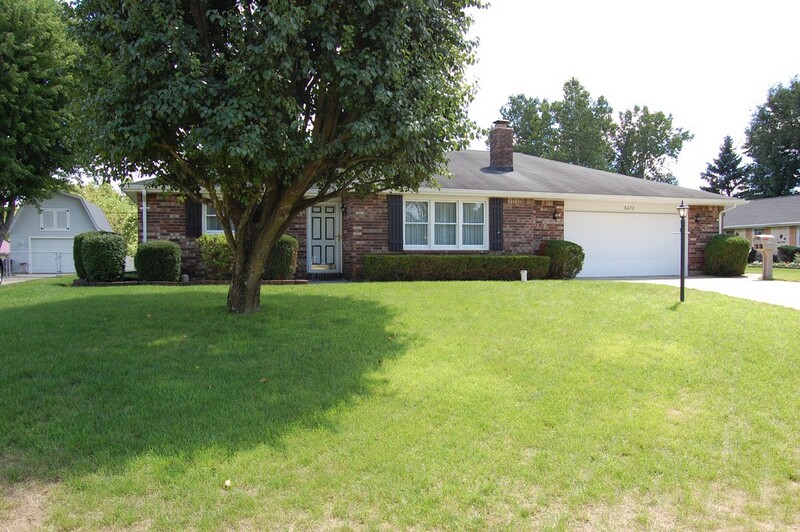 Nice move in ready brick ranch home located in town Pendleton. 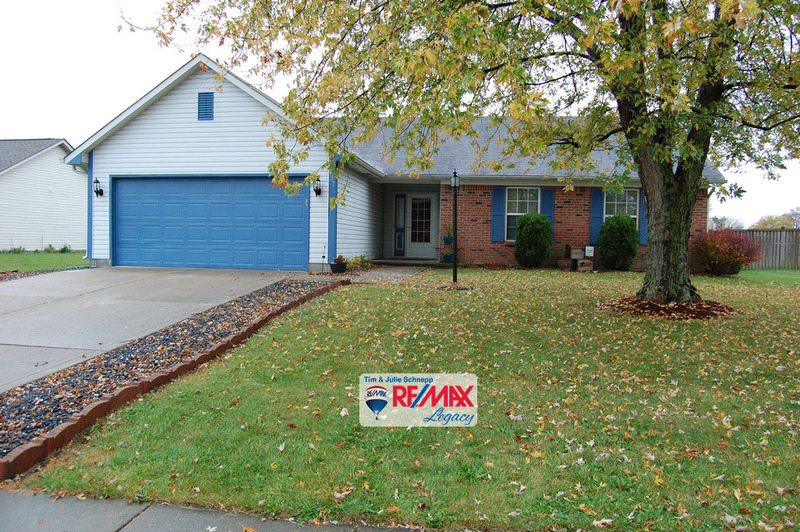 One level home with great curb appeal, features a great room with vaulted ceilings & a fireplace. Kitchen has ample cabinet space and includes a breakfast nook & pantry. A formal dining room is located just off the foyer and has hardwood floors. The master suite includes a large walk in closet and full bath. Two other bedrooms share a full bath and ample closet space. You will love the sun room. Fresh paint & NEW carpets in Nov 2015. 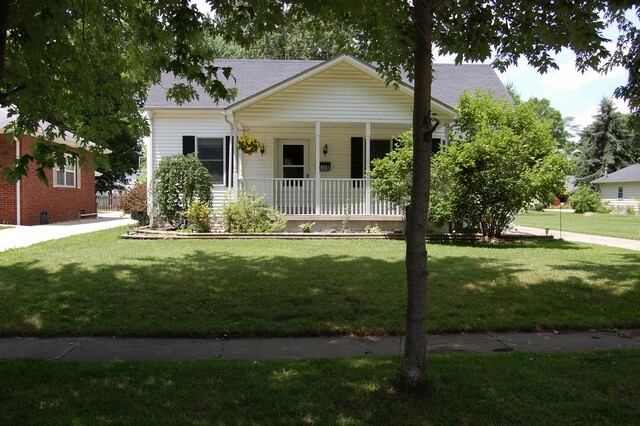 This charming 3 bedroom, 1.5 bath home has been very well maintained and is ready for you! Large living room is perfect for entertaining. Gorgeous landscaping encompasses the home. You will love the large laundry room located off of the garage. A relaxing sun room leads out to the fully fenced backyard. 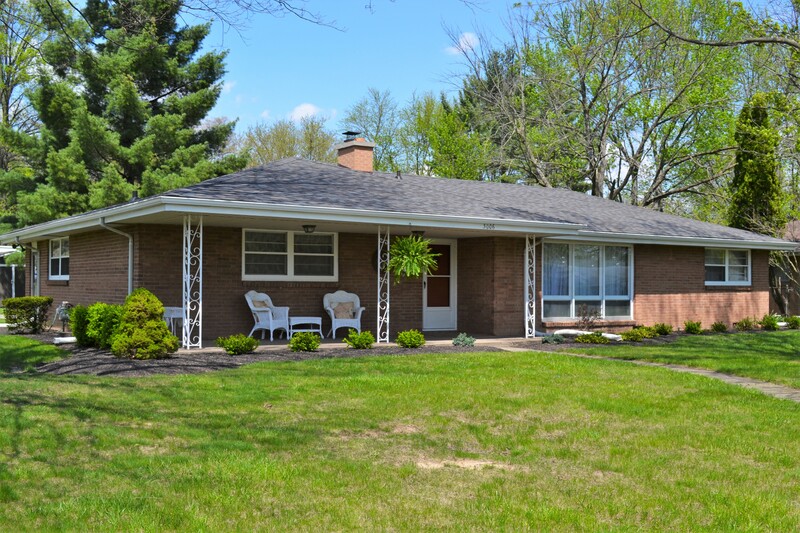 You won't want to miss out on this classic ranch style home! You will love this mid-century home! With it's original hardwood floors, kitchen cabinetry, and hardware, this home has been very well maintained. Cozy eat-in kitchen. Two bedrooms, one full bathroom. Spacious living room with an enclosed entryway. 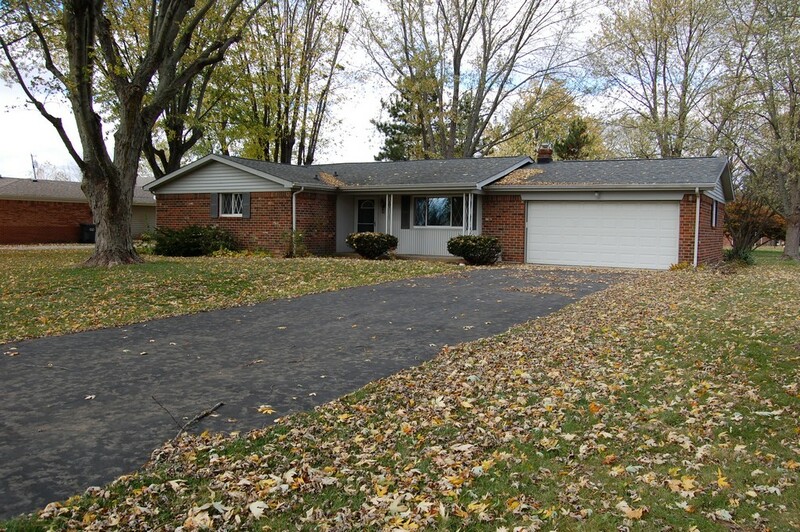 NEW roof, siding, windows, gutters, and updated electrical in the home and garage in 2015. Beautiful backyard with a very large shed. One car detached garage complete with a workshop. Pendleton schools! This quaint home is ready for you! 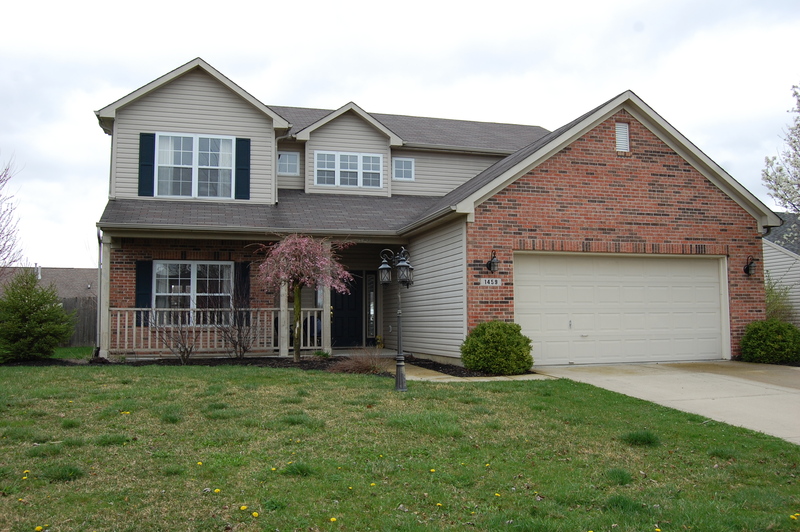 This wonderful two story home is located in a nice Greenfield subdivision and includes an in ground pool. This home is perfect entertaining and summer fun. The main level has a large family room that overlooks the back yard, a large kitchen with lots of cabinets and a formal living room. Upstairs, the master suite has vaulted ceilings, a large walk in closet and a full bath. Two other bedrooms upstairs have walk in closets and share a full bath. A nice loft area overlooks the two story foyer. Very nice and affordable home located on a quiet cul-de-sac in North Anderson. This updated and well maintained home sits on a huge private lot and includes a master bedroom suite, large open kitchen and lots of living space. The family room is open to the dining nook, kitchen and has a warm fireplace. A large formal living room has lots of windows that overlook the property. The oversized kitchen has updated counter tops, tons of cabinets and is open to the dining area. Virtual tour on line. You will feel like royalty the moment you enter this elegant home. Hardwood floors throughout the main level. Home features a main level master suite with sitting room. 3 full bath-2 half bath includes Jack & Jill on upper level. 4 bedrooms. Exquisite basement with workshop & sewing room. Home office on the main level. Beautiful view of a creek that flows just beyond the backyard. 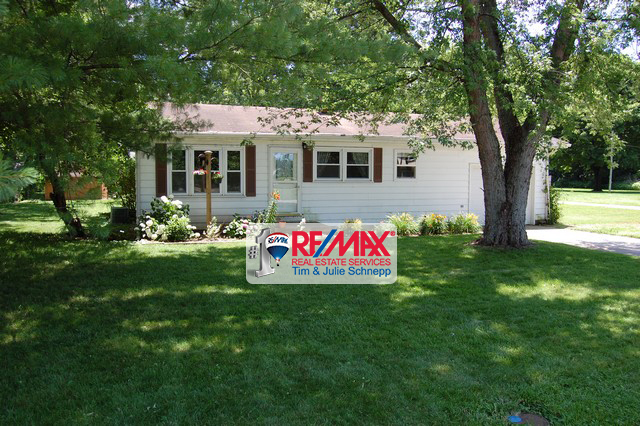 Very nice move in ready home located in a quite cul-de-sac. 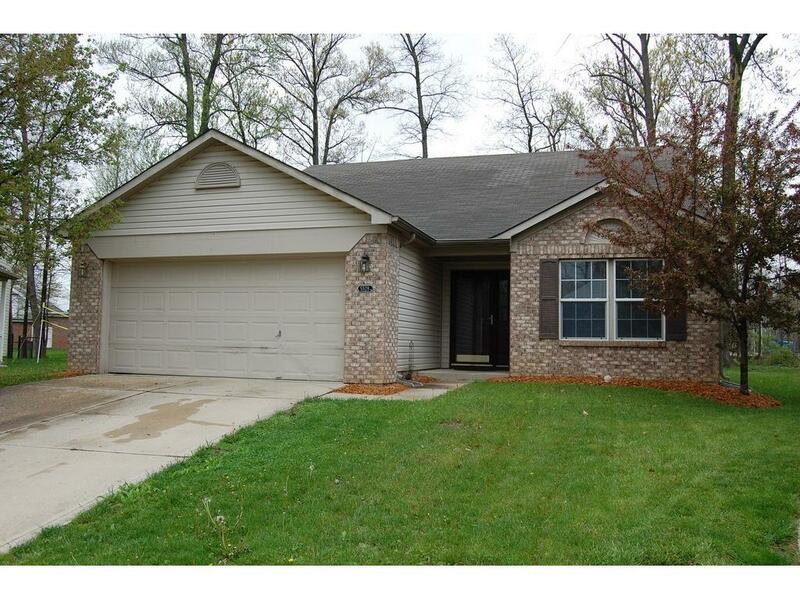 This one level home is very affordable and has a large great room with vaulted ceilings and a fireplace. The open concept is great for entertaining with the great room open to the kitchen and dining nook. Just off the dining nook are patio doors that lead to an awesome back yard. The master bedrooms suite has a full bath and sizable walk in closet. Two other bedrooms share a full bath and have ample closet space. Virtual tour on line. This gorgeous property is on just over 4 acres! There is a large coat closet off the entry, and a beautiful bow window looking out of the dining room. The living room is huge with sliding glass doors that go outside to the deck. New cabinets in kitchen with garage access, and a huge walk-in pantry! The master suite has a full bathroom and two closets. The two bedrooms share a full bathroom, both bathrooms have new cabinets. The attached two car garage has a workshop and a half bathroom/shower! Stunning home in East Knoll is updated and full of character! Large beautiful great room has a ceiling-to-floor wood burning fireplace. Updated kitchen with stainless steel appliances. Dining area open to the kitchen, French doors lead you into the bright sun room. The laundry room is just off the kitchen and includes a utility sink. Master Suite has a huge walk in closet, the master bathroom has heated floors and a giant bath tub! Gorgeous stained glass window. Patio and large fenced in yard. 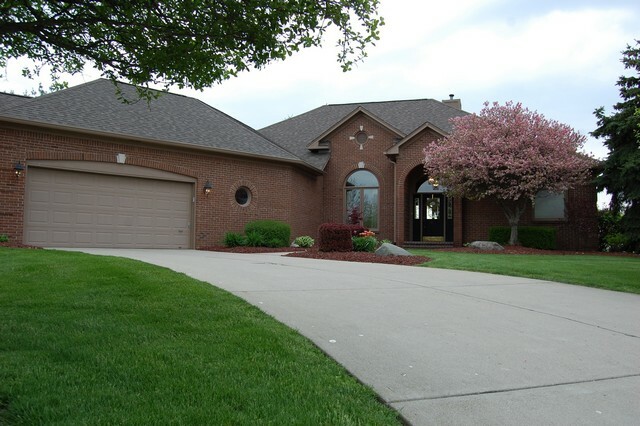 Gorgeous custom built home located in a popular Pendleton schools subdivision. This large home has great curb appeal and features a main level master suite w/bonus rm, huge kitchen and oversized two car garage with workshop. The great room has tall vaulted ceilings and overlooks the back yard. The beautiful kitchen has granite counter tops and a massive amount of cabinets. The formal dining room is open to the kitchen. The master suite has a huge walk in closet and full bath with walk in shower. 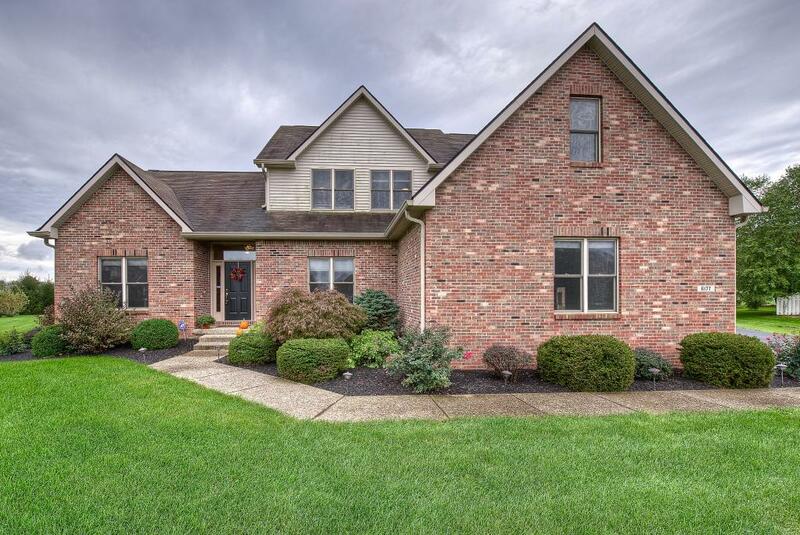 Large two-story brick home in popular Huntzinger Farm! Bright and cheerful office off of entry. Half bathroom on the main level. Large open-concept living room that flows to eat-in kitchen. Laundry area and garage are located off of the kitchen. Upstairs you will find a bonus loft room, the perfect space for a movie area! Master bedroom has a huge bathroom with a stand up shower and garden tub, along with a walk-in closet. Continue through to find three nice sized bedrooms and a full bathroom. Beautiful two bedroom condo on Anderson's South side. 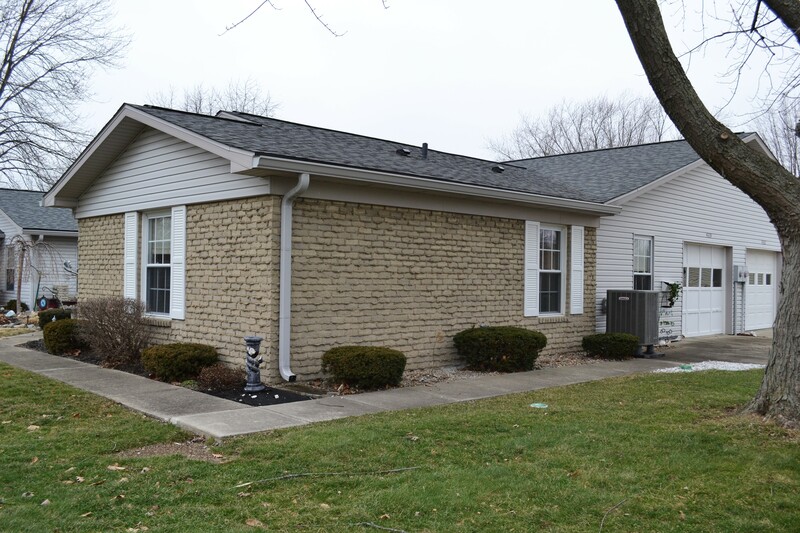 This one-level brick home features several recent updates such as new roof, flooring, updated windows, and a new furnace, AC & heat pump. The eat-in kitchen has oak cabinets with lots of storage, appliances and a pantry. Just off the kitchen is a nice size living room with natural light. Master bedroom has a large walk in closet and an updated bathroom. The neighborhood includes amenities such as a clubhouse and heated pool. 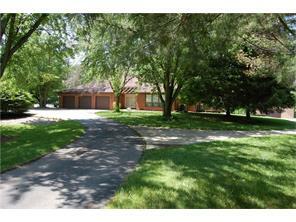 This beautiful home is located in popular Pines of Deerfield. The large and cozy living room flows into the dining room and kitchen. The kitchen has an adorable breakfast bar. You will love these hardwood floors! The master suite has an amazing bathroom and huge walk in closet. Two other bedrooms share a large bathroom. The dining room features sliding glass doors that lead you to the perfect entertaining area-the deck! A privacy fence surrounds the lush backyard. 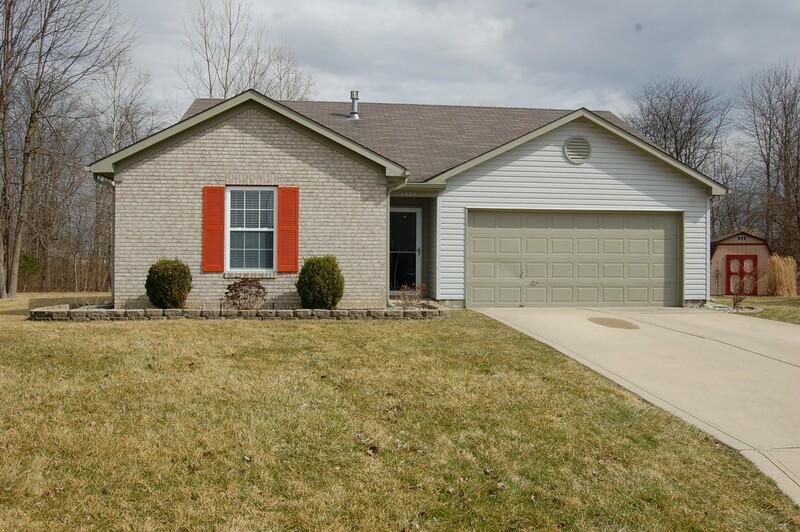 Very nice and affordable home located in Pendleton Schools. This totally updated home features and huge family room, all new carpet and fresh paint. Just off the family room is a nice private living room with French doors. The kitchen is located off the family room and includes all the appliances, custom cabinets and tile floors. The master bedroom has ample closet space and includes a 1/2 bath. Two other bedrooms share a full bath. You will love the large lot and large garage. Virtual tour. Spectacular custom built home located in popular Hickory Hills East. This huge two story home has been carefully designed and built for maximum comfort and use of space. The family room overlooks the back yard and is open to the kitchen and breakfast nook. The kitchen is well appointed with a walk in pantry, updated counter tops and a great appliance package. A private office & formal dining room is located just off the large foyer. The master suite is spacious with a full bath. Large 3+ garage. 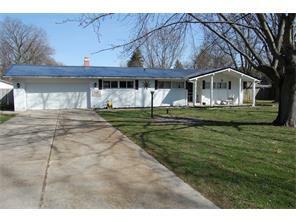 Very nice totally updated home located on a large lot in town Pendleton. This like new home features a master suite, granite counter tops and a great in town location. The family room is open to the kitchen and dining room and has lots of updated windows. The kitchen has gorgeous cabinets, tile back splash and includes all the appliances. The master suite has ample closet space and has a full bath. Two other nice sized bedrooms share a full bath and have plenty of closet space. Great farm property located just South of Markleville. 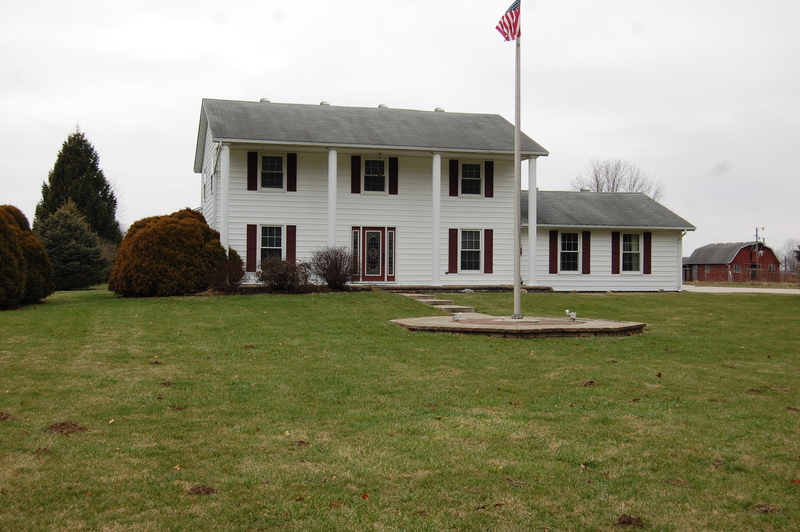 This Hancock county home sits on about 35 acres of woods, pastures and farm fields. The property has a creek that winds through the wooded area along with two ponds. Walking paths wind through the wooded area and a few clearings overlooking the creek & ponds are perfect for a private getaway. The home has four bedrooms with a main level master bedroom. The property also has a large pole barn that is perfect for live stock. 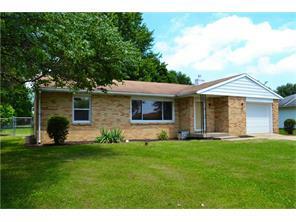 Very nice and updated home located in Pendleton schools. 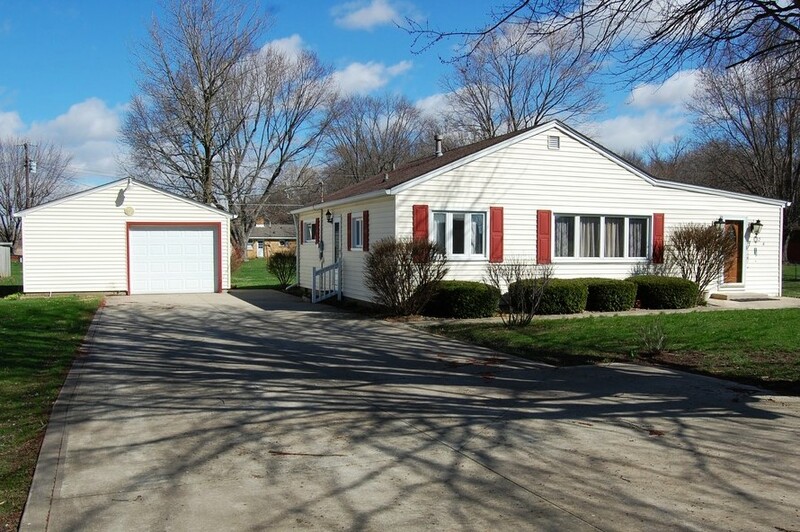 This affordable one level ranch features an open floor plan, a large lot and fenced back yard. The spacious great room has a wood burning fireplace and large windows that overlook the front yard. The kitchen has new cabinets, with lots of storage and is open to the dining room. The master bedroom has ample closet space and shares a totally updated full bath with two other bedrooms. A large laundry includes a half bath, with new flooring. Very nice move in ready home located in a quiet neighborhood. This affordable home has new carpet, updated laminate flooring in the great room and tile floors in the kitchen. The great room has a tall vaulted ceiling with a wood burning fireplace. The open concept has an eat in kitchen the is open to the great room and includes all the appliances. The sizable master bedroom suite has ample closet space and a full bath. The loft upstairs overlooks the great room and could be a 3rd bedroom. Nice corner lot in a quiet subdivision. Great place to build your new home in an established neighborhood. 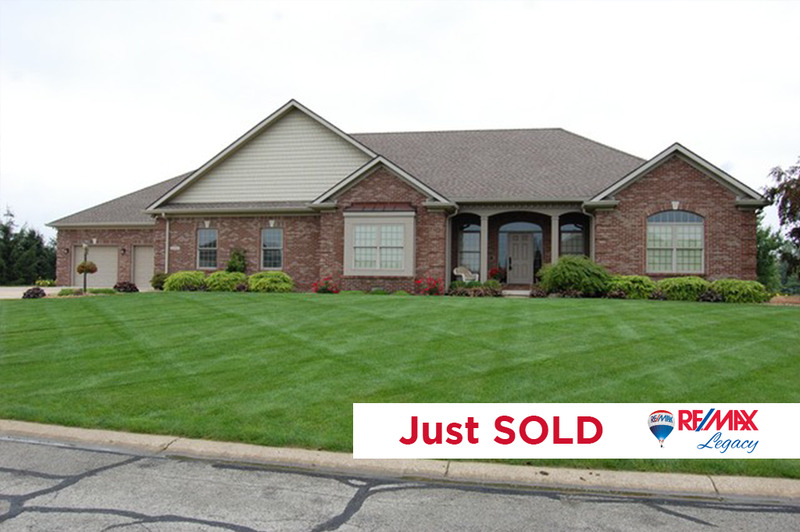 Easy access to I-69, I-70, Greenfield, Indy and Anderson. 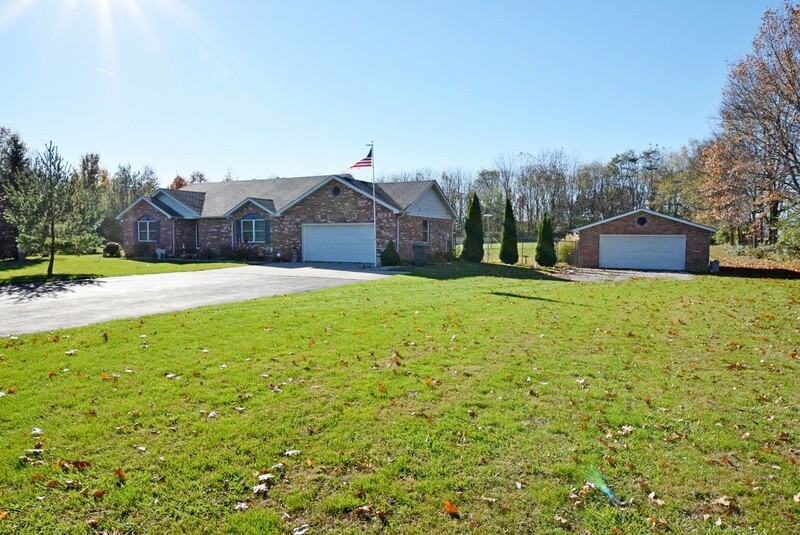 Beautiful custom home located on a 1.4 acre lot in Pendleton Schools. 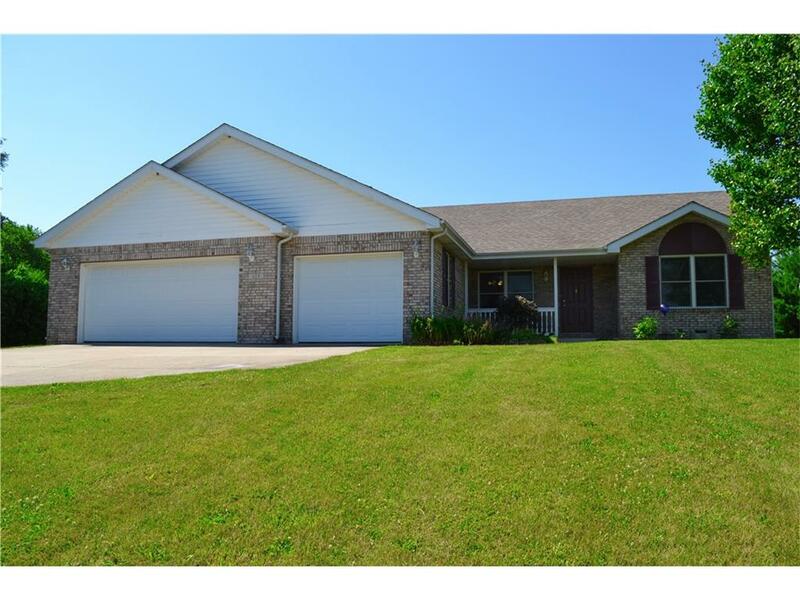 This spacious two story features updated flooring, a master bedroom suite and extra 4 car sized pole barn. The large great room overlooks the back yard and is open to a formal dining room. The kitchen has lots of cabinets and is open to a breakfast area. Upstairs, the master suite has a full bath with double sink vanity and a walk in closet. Two other bedrooms share a full bath. The fourth bedroom can also be used as a loft. 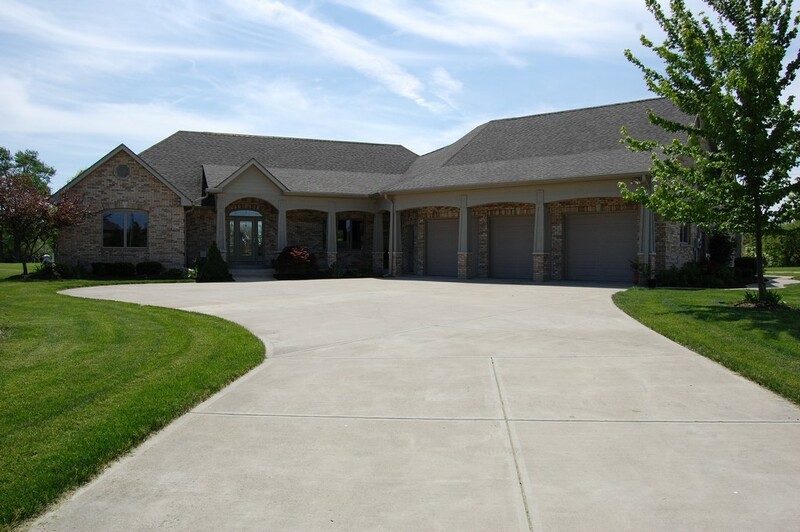 Gorgeous custom built home located on a large lot in an upscale Pendleton subdivision. 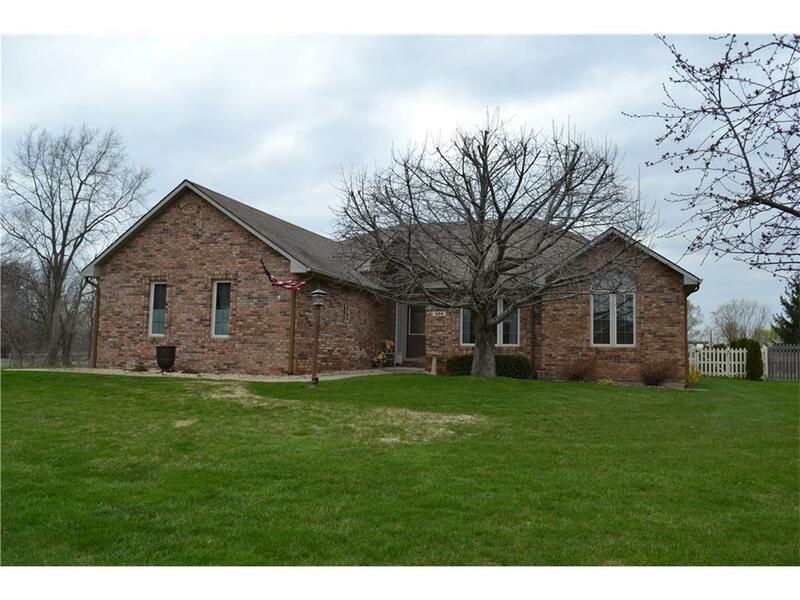 This one level brick home features custom woodwork throughout, three car garage and a basement. The great room has tall ceilings with crown molding and a fireplace. The beautiful kitchen is open to the great room and features solid surface counter tops. You will love all the counter space and high end cabinetry this spacious kitchen offers. The master suite has a full bath, and a large walk in closet. 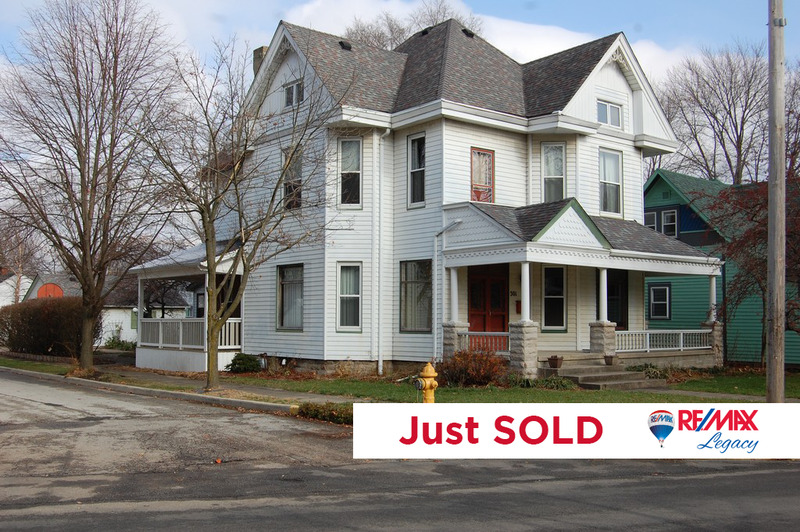 Beautiful, three-story Victorian in the heart of historic Pendleton. Nestled just two blocks from Falls Park, this well-known home is the essence of what makes Pendleton charming & desirable. Tall ceilings, original woodwork, pocket doors, French doors, leaded & stained glass windows, antique fireplaces and built in china cabinet add to the one-of-a-kind charm. Four large bedrooms, upstairs laundry, new Low E windows, high eff heat & air, new roof, gutters, electrical, plumbing and MUCH MORE. 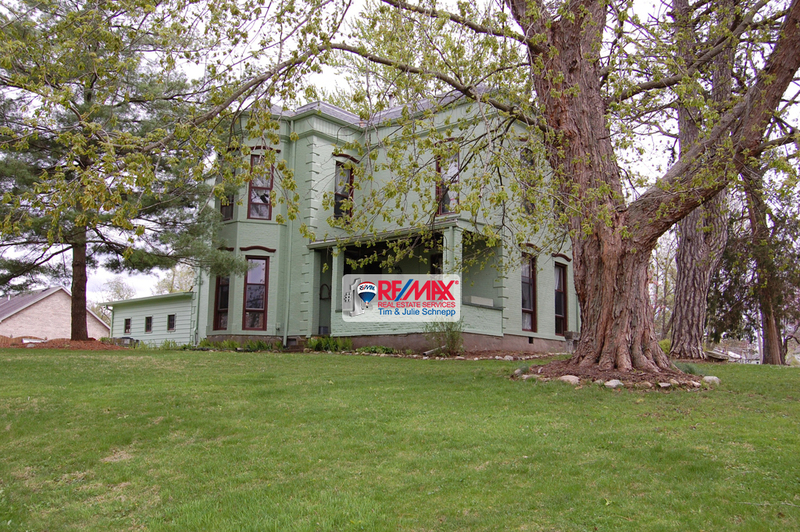 Gorgeous historic home located on a large corner lot in town Pendleton. This one of a kind historic home has plenty of history and features original woodwork, ornate plaster work and hardwood floors. The main level has spacious rooms with tall ceilings and a great floor plan for entertaining. The kitchen includes all the appliances and has a nice butlers pantry. Upstairs, the large bedrooms have good closet space and share a full bath. An updated full bath with whirlpool tub is downstairs. 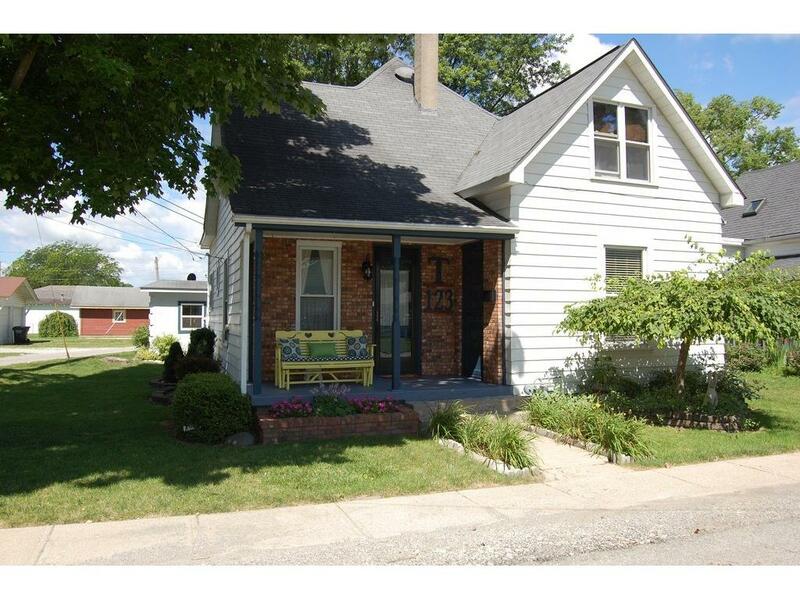 Cute and affordable home located on a quiet street in town Pendleton. 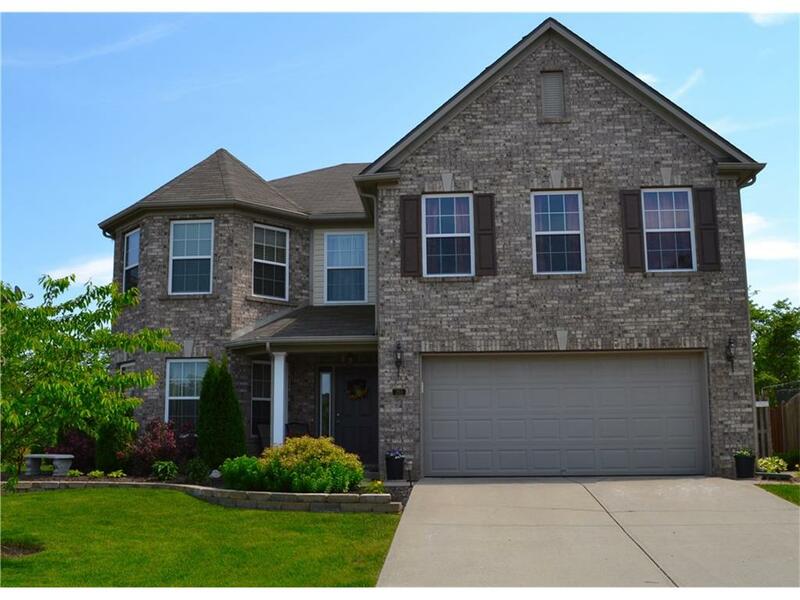 This updated home features a large great room with built in bookcase, main level master suite and great curb appeal. The great room has updated Bamboo flooring and plenty of room for a dining area. The kitchen includes new Bamboo flooring and all appliances. The master bedroom has ample closet space and a 1/2 bath. Upstairs, two good sized bedrooms have walk in closets. The full bath is updated & has a spacious laundry room. 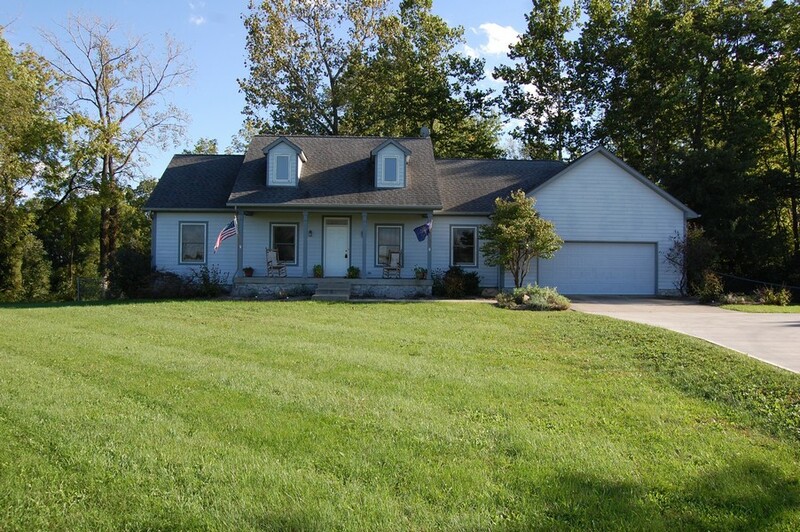 Very nice move in ready home located on 1.17 acres in Pendleton Schools. 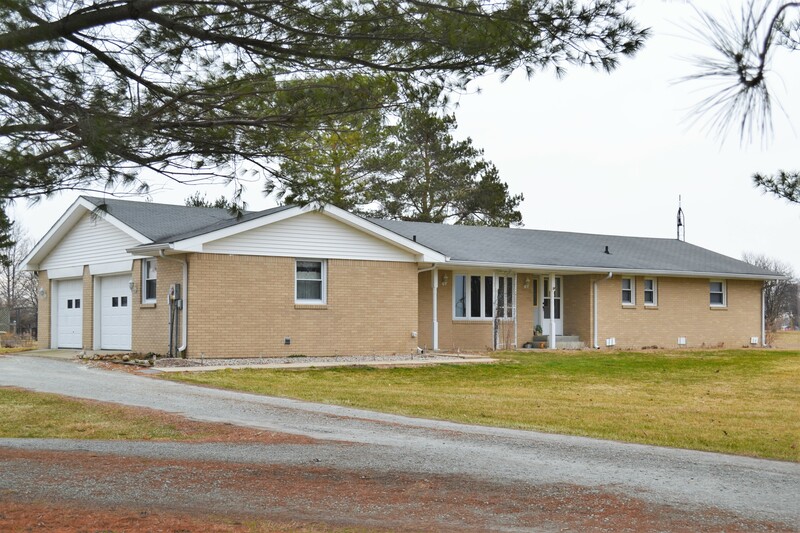 This one level brick ranch features a master bedroom suite, sunroom and extra 30x30 pole barn. The family room has a gas log fireplace and patio doors that lead to the sun room. A large formal living room, just off the foyer, has nice laminate flooring. The eat in kitchen has lots of cabinets and includes solid surface counter tops and all the appliances. The master has a full bath and double closets. Virtual tour online. 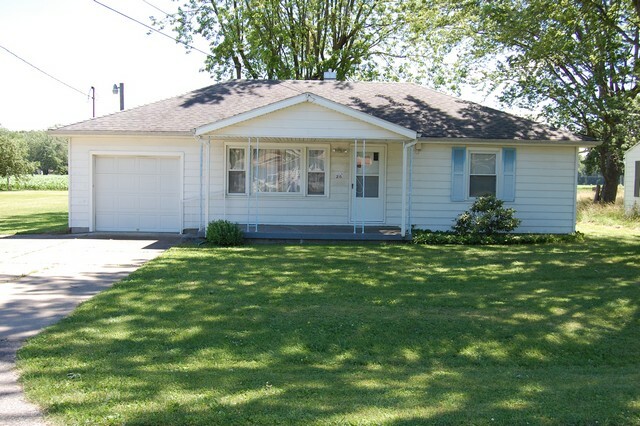 Very nice updated home located on a corner lot in town Pendleton. This one level home is just one block from the library, pool and a quick walk to the park and sports complex. You will love the cozy feel of this two bedroom and the updates that have been completed. The kitchen is new with white cabinets, stainless steel appliances and laminate flooring. The living room has gorgeous hardwood floors. The master bedroom has ample closet space, hardwood floors & shares a full bath with the other BR. 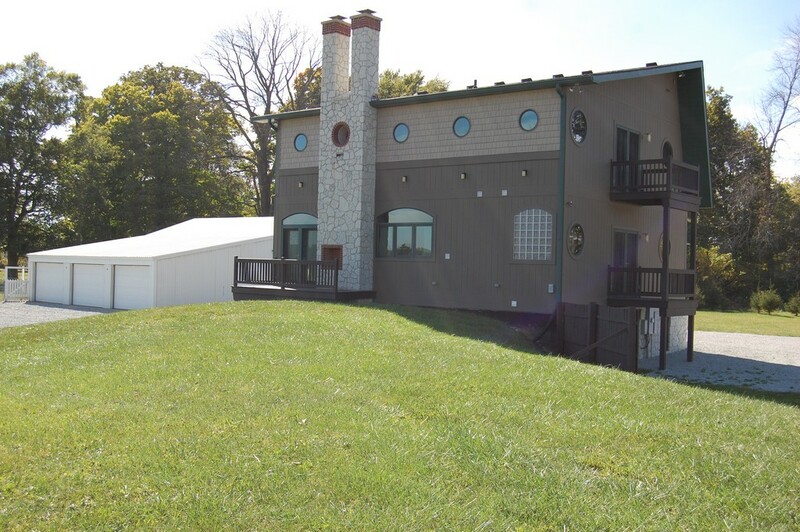 Beautiful custom built modern style home located on 6 acres with a pond. 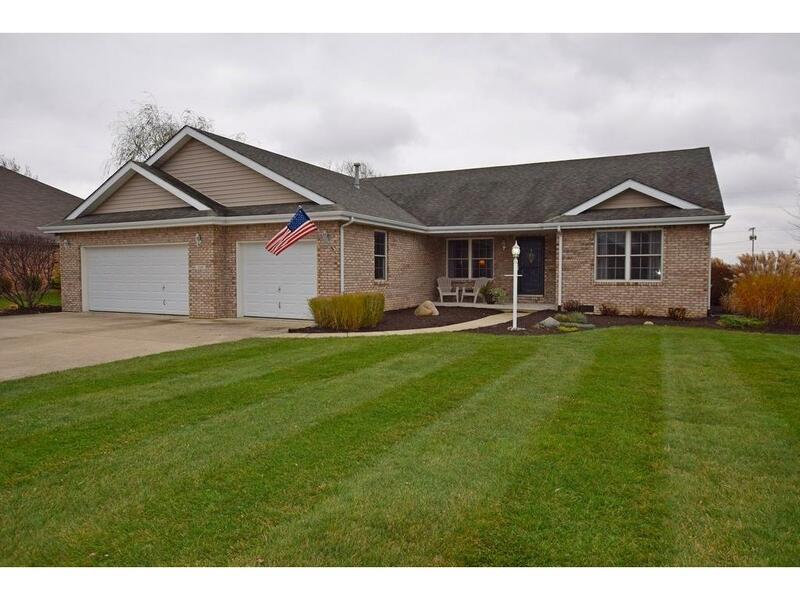 This Pendleton Schools home is a Riffey built home that features two master suites, a full finished basement and a huge pole barn. Inside the home you will love the open space that the three-story tall ceilings provide. The family room in the basement has soaring ceilings and an open concept. On the main level the custom kitchen overlooks the family room below and has gorgeous solid surface countertops. Virtual tour online. Very nice in town Pendleton home located on a corner lot. Located close to the school, park, and pool. 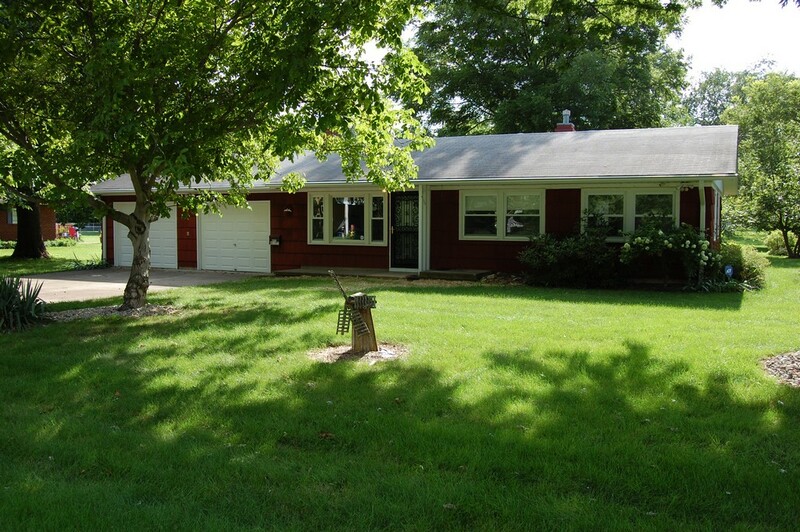 This one level ranch home features hardwood floors, large living room and a sun room. Living room has a gas log fireplace. The kitchen has updated cabinets, center island and is open to the dining room. Located just off the kitchen is a cozy sun room and a nice back yard patio. The one car attached garage also has a great workshop! 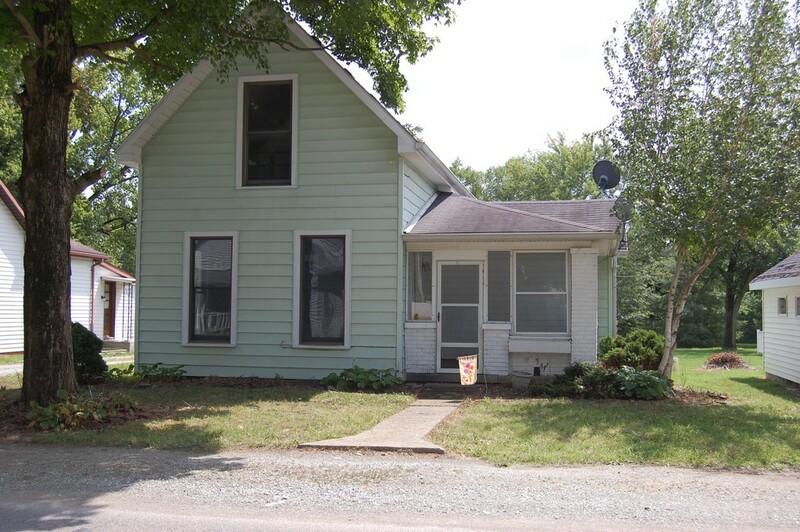 Very cute and affordable home located in town Pendleton on a double lot. 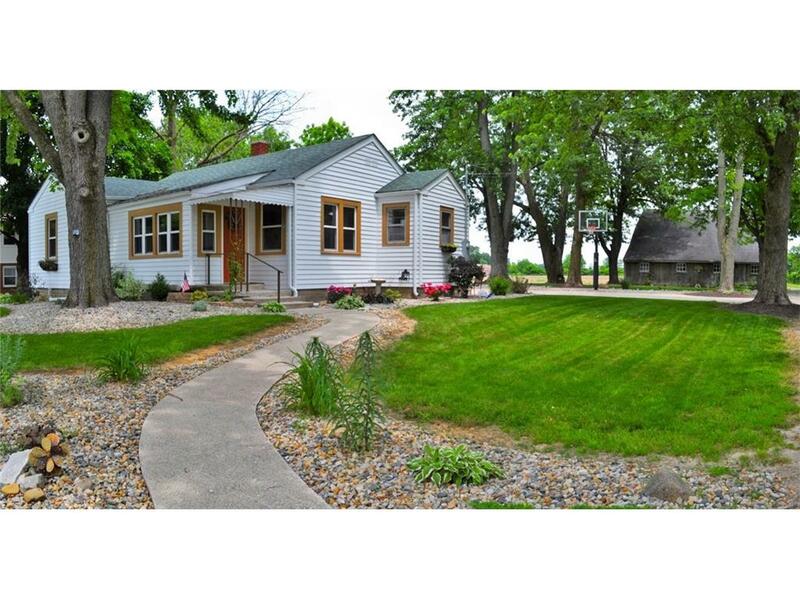 This vintage home has many updates and includes a detached 2 car garage. Inside the family room is spacious and has lots of windows. The kitchen has updated tile floors, tile back splash and counter tops. The dining room is located just off the kitchen and family room. The master bedroom has plenty of room and a nice sized closet. Two other sizable updated bedrooms has ample closet space and share a full bath. 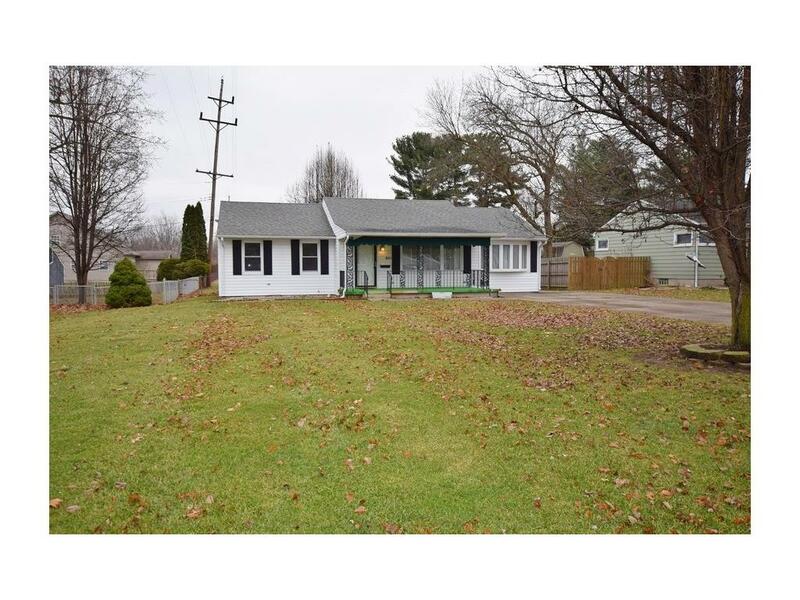 Cute and affordable home located in a newer subdivision in Pendleton. 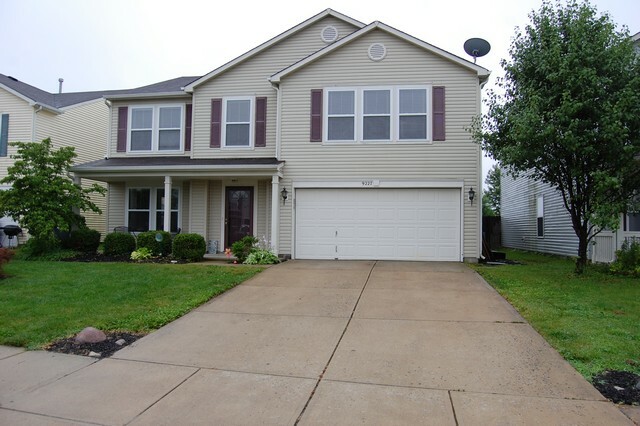 This two story is move in ready & features a large kitchen, master suite & a screen porch. The family room is open to the kitchen & has a gas log fireplace. The eat in kitchen has lots of cabinets, a pantry & a bar area that is open to the dining room. Upstairs, the loft adds great living space & the huge master suite has vaulted ceilings, full bath & walk in closet. Two other sizable bedrooms share a bath. Garage bump out. 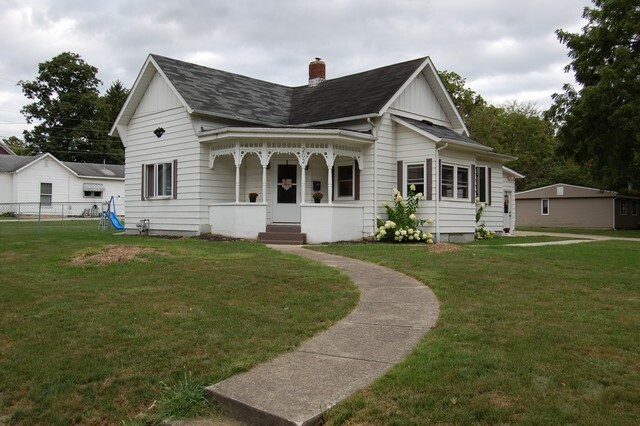 This cute and cozy home is located in town Pendleton. Just a block away from the school, this one level home has an unfinished basement, large living room and a nice sized garage. The living room has laminate floors that flow into the dining room and kitchen. The kitchen and dining room are open to each other and the kitchen has custom cabinets and all the appliances are included. The master bedroom has hardwood floors and shares a full bath. A second bath in the laundry area has a shower. 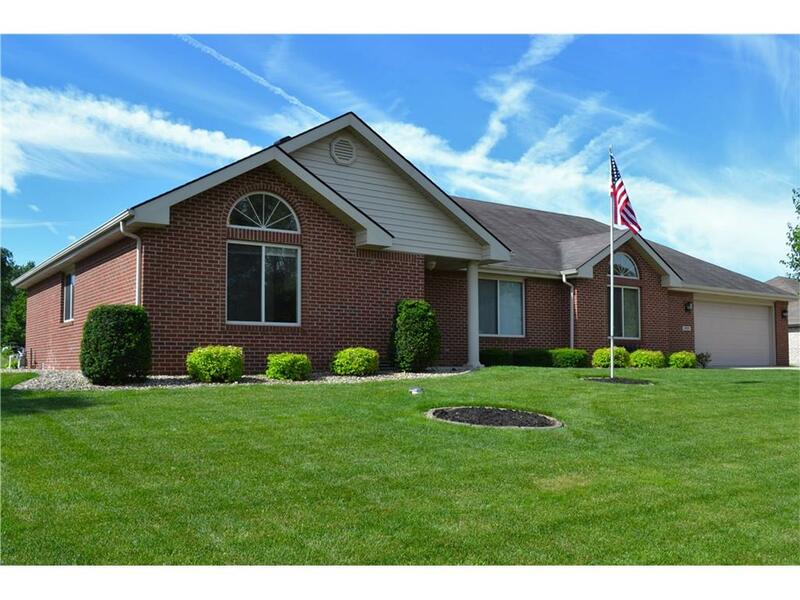 Gorgeous home located in a quiet Pendleton schools subdivision with an in ground pool. This large two story home sits on a nice lot and features a great room that overlooks the pool, an updated kitchen and a master suite. The custom built maple kitchen has tons of cabinet space, built-in appliances and is open to the dining room. A private formal living room has built-in book cases and is open to the dining room. Upstairs the master suite has a full bath with walk in closet. Virtual tour. 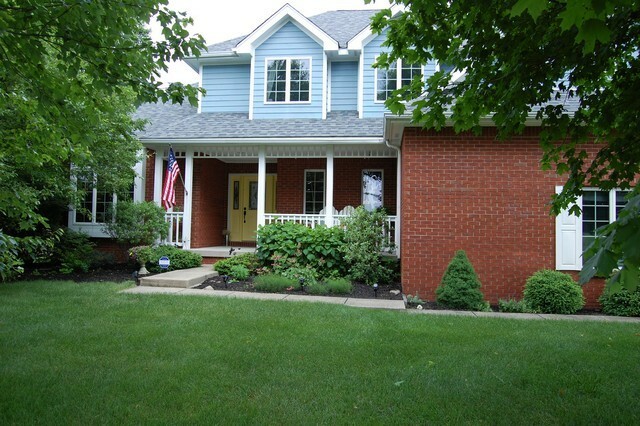 Beautiful custom brick home on acre lot in sought after Fox Run. Open floor plan w/ two living rooms on main level. 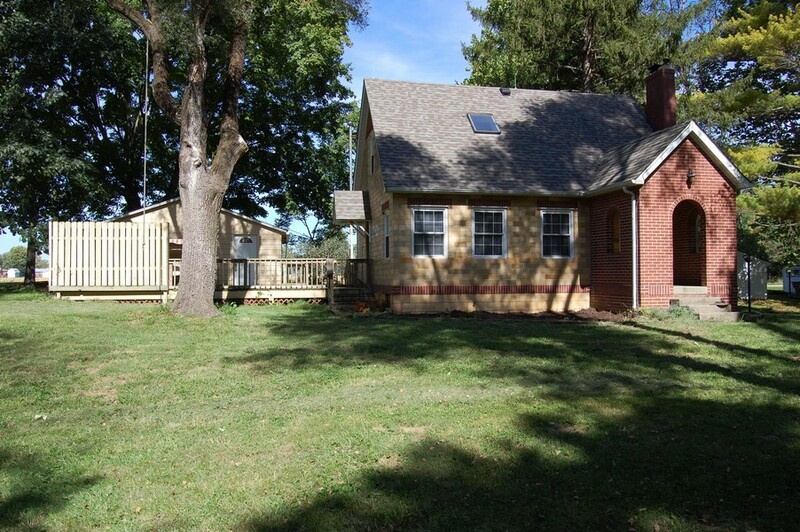 New kitchen, updated granite counters in bathrooms & laundry, new roof, carpet, heat pump, & landscaping! Large master suite features walk-in closet, dble sinks, tiled shower, whirlpool tub & water closet. 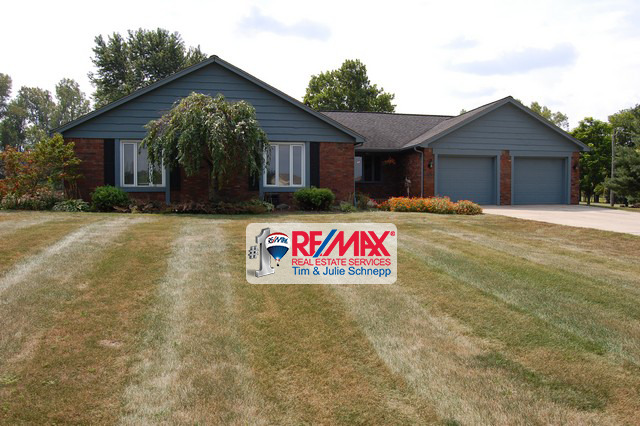 Finished basement w/ multiple family rms, wet bar, bedrm, full bath & office/wrkout rm. Lrge patio has brick surround, huge yard w/ playset, firepit & golf holes. Move-in ready! 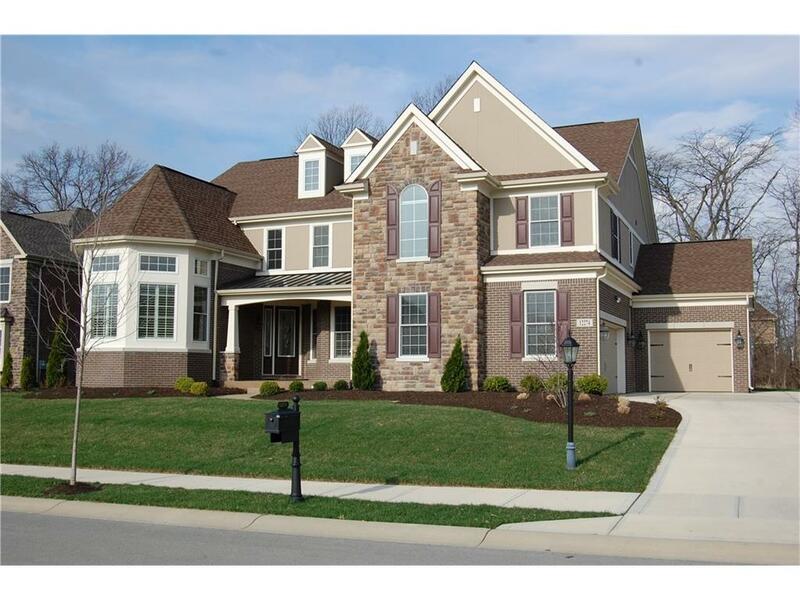 Beautiful custom built home located in popular Hickory Hills East. This huge two story home features a five car garage, finished walk out basement and professionally decorated interior and exterior. The main level has a great room the overlooks the back yard and is open to the kitchen and dining nook. The master bedroom suite on the main level has custom woodwork, a full bath with garden tub and custom walk in closet. The basement has a large rec room, family room with bar area and storage. 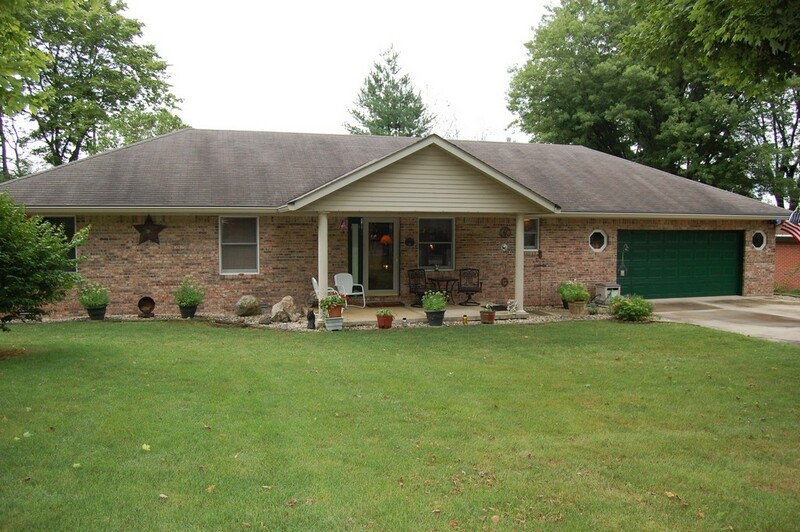 Wonderful brick ranch home located in Pendleton schools on 2 acres. This one owner home has a great curb appeal and features a spacious layout, custom kitchen cabinets and a four season room. The family room has a fireplace and is open to the kitchen. The kitchen has gorgeous custom built cabinets, tile floors and includes all stainless steel appliances. A private living room is just off the foyer and overlooks the property. The master bedroom has double closets and shares a full bath. 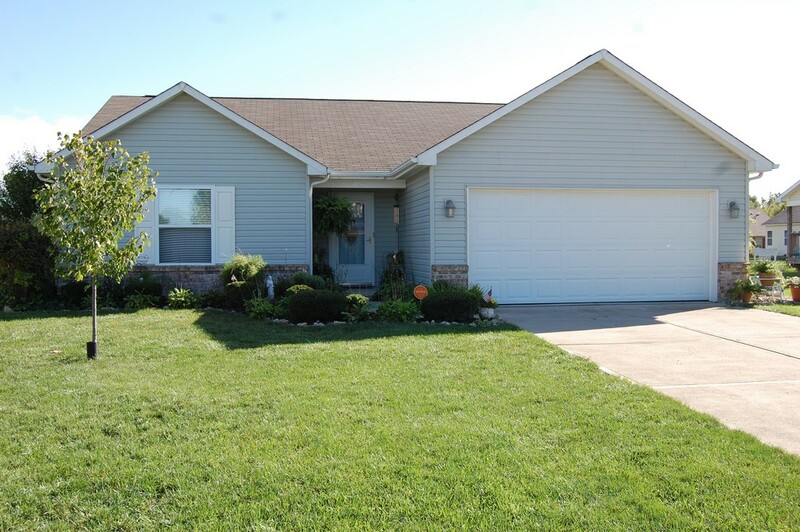 Very nice one level ranch located in a quiet Pendleton schools subdivision. 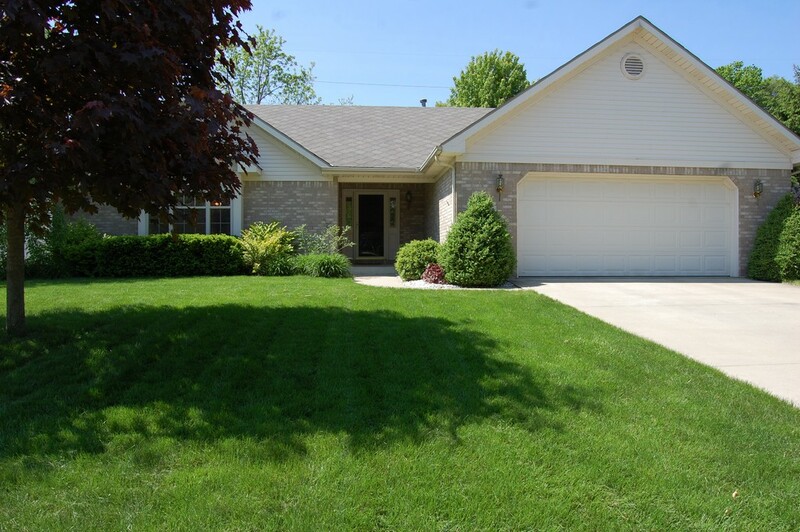 This spacious home has a large great room with vaulted ceilings and a gas log fireplace. The open concept layout has a great kitchen with oak cabinets, granite counter tops and is open to the dining area. A cozy sun room is just off the kitchen and dining area and leads to the outdoor deck. The master suite has a large walk in closet, whirlpool tub and shower. Two other bedrooms have ample closet space and full bath. 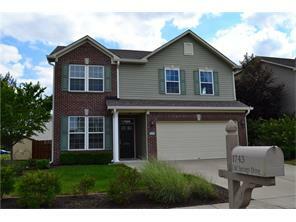 Very nice move in ready custom home located in Fiddlers Green. 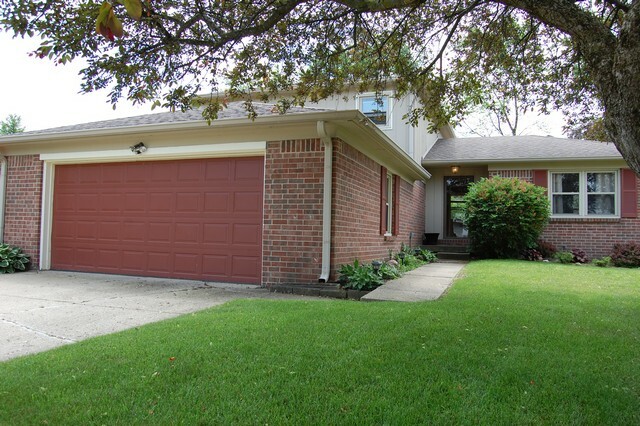 This one level brick ranch has beautiful curb appeal and sits on a well landscaped corner lot. Inside you will love the open space this floor plan provides with a great room that has tall vaulted ceilings. The dining room is open to the kitchen and great room and has patio doors that lead to a screen porch and deck. The kitchen has lots of oak cabinets and a bar area. The master suite has double walk in closets and a full bath. 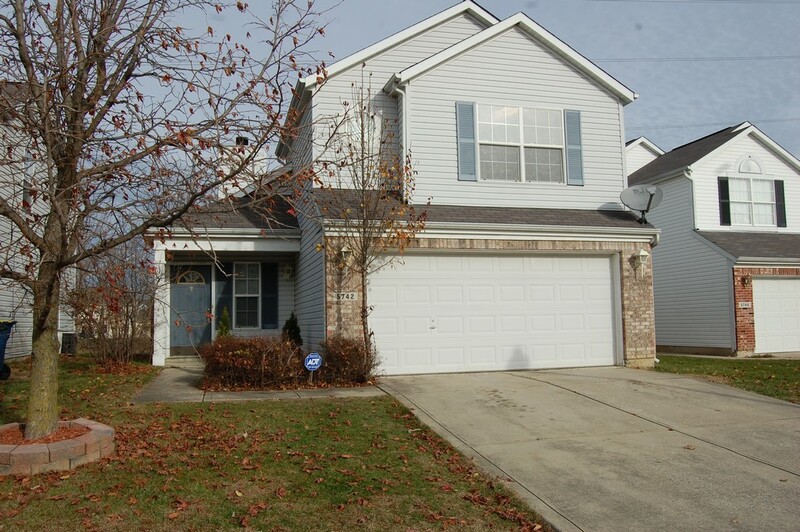 Very nice move in ready home located in popular Summerlake subdivision. This Pendleton schools two story features an open concept main level, a huge loft and large fenced back yard with a patio. The family room overlooks the back yard and gorgeous laminate flooring. The living room is open to the formal dining room with plenty of room for a large gathering. The Kitchen is open to a dining nook and includes a large walk in pantry and appliances. Upstairs has a large loft and the master suite. 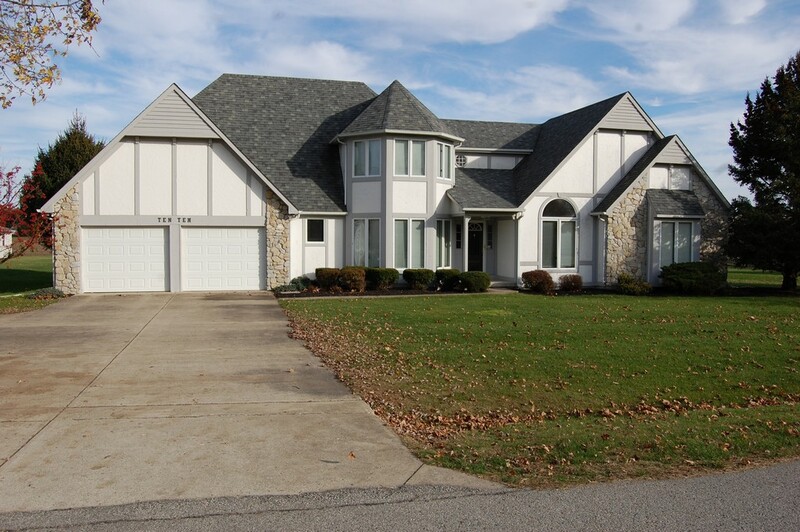 Wonderful custom built home located on a large lot in Mt Vernon Schools. 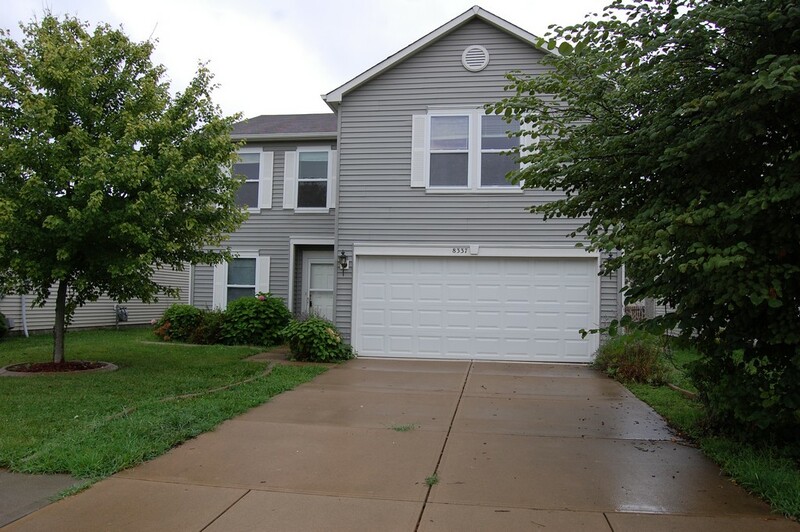 This large two story home features a family room with a fireplace, great master suite and fully fenced back yard. The open concept main level has a cherry kitchen with eat at bar, a formal dining and private living room. The family room has tall vaulted ceilings and patio doors that lead the a custom built deck. Upstairs, the master suite has vaulted ceilings and double walk in closets. Three other bedrooms share a bath. 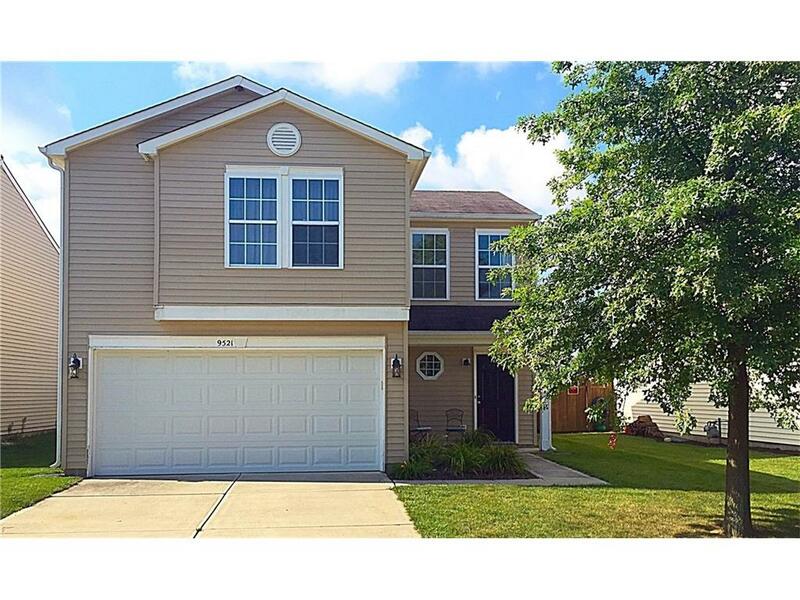 Very nice move in ready home located on Anderson's South side. This two bedroom home has gorgeous hardwood floors, large lot and updated bath. The living room is a good size for lots of furniture and has a picture window. The eat in kitchen includes a refrigerator and stove. The two bedrooms have hardwood floors and share a full bath. 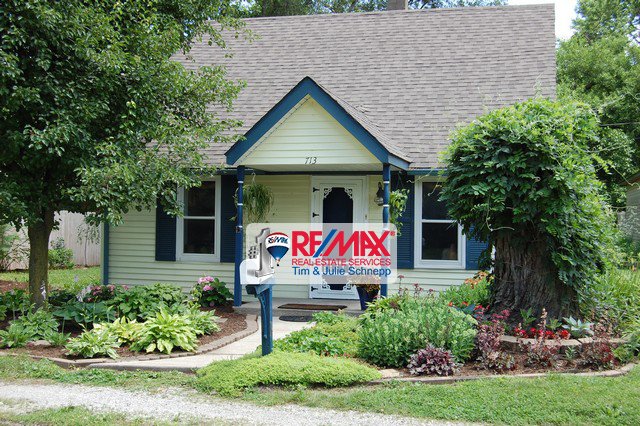 You will love the huge lot and covered front porch. The one car garage is extra deep and has attic storage. Easy access to shopping, restaurant and the casino. Huge home located in Popular Summerlake subdivision. This Pendleton schools home features five bedrooms, a massive loft and open concept main level. The family room has a wood burn fireplace and is open to the kitchen. The large kitchen includes all the appliances, a center island, pantry and is open to the dining area. Upstairs, you will love the space the loft adds to the house and the large master suite with vaulted ceilings. The master bath has a whirlpool tub, shower and walk in closet. 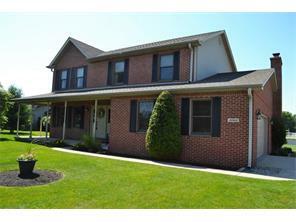 Very nice move in ready home located on a large lot in Greenfield. 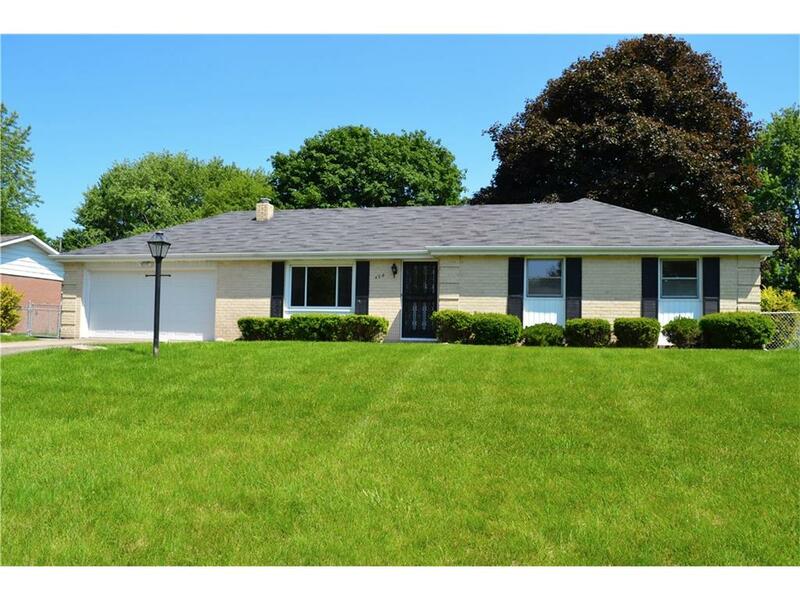 This tri-level home has nice curb appeal and features a master suite, updated flooring and a great back patio. The family room has a wood burning fireplace and is open to the kitchen. The kitchen overlooks the family room and includes all the appliances. The living room on the main level is spacious and private. The master suite has a full bath and walk in closet. Two other bedrooms upstairs share a full bath. Virtual tour. Nice and affordable home located in a newer Pendleton subdivision. This one level home has great room with vaulted ceilings, nice laminate wood floors and patio doors that lead to a fully fenced back yard. The spacious eat in kitchen has gorgeous cabinets and includes all the appliances and a pantry. A formal dining room is open to the great room. The master suite has vaulted ceilings, a walk in closet and a full bath. Two other bedrooms have ample closet space and share a bath. 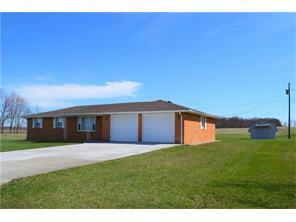 Very nice and affordable brick ranch located in a quiet Pendleton schools subdivision. This custom built home features a great room with vaulted ceilings and a fireplace, a master suite and fenced in back yard. The kitchen has ample cabinets and includes all the appliances, pantry and eat at bar. A breakfast nook is open to the kitchen and a formal dining room is close by. The master suite includes a full bath with walk in shower and double sink vanity. Two other bedrooms share a full bath. 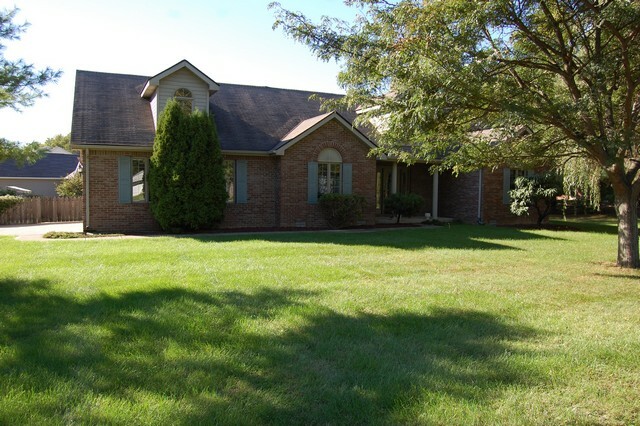 Large, beautiful Brick ranch in Pendleton Schools. Large living room has wood burning fireplace and built-in shelving. Foyer has impressive ceramic flooring. 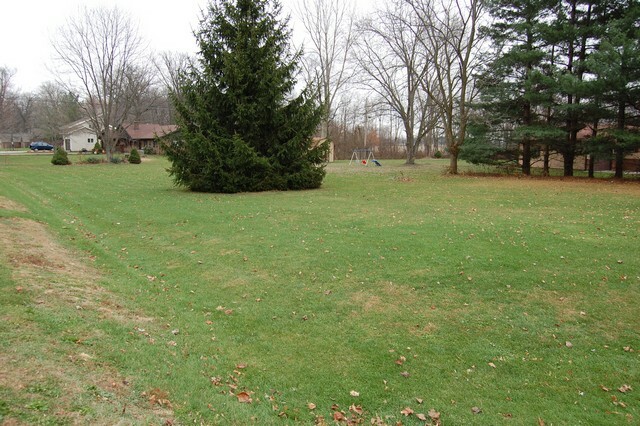 Property includes 2 lots with a total over 3/4 of acre. Recent upgrades include a new roof and complete plumbing through-out the house.